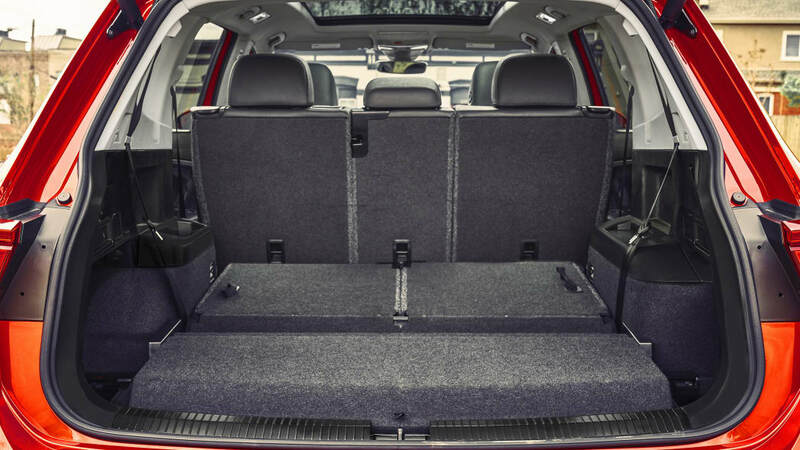 There's no shortage of three-row vehicles on the market for carrying seven or more people and their stuff wherever they all need to go. 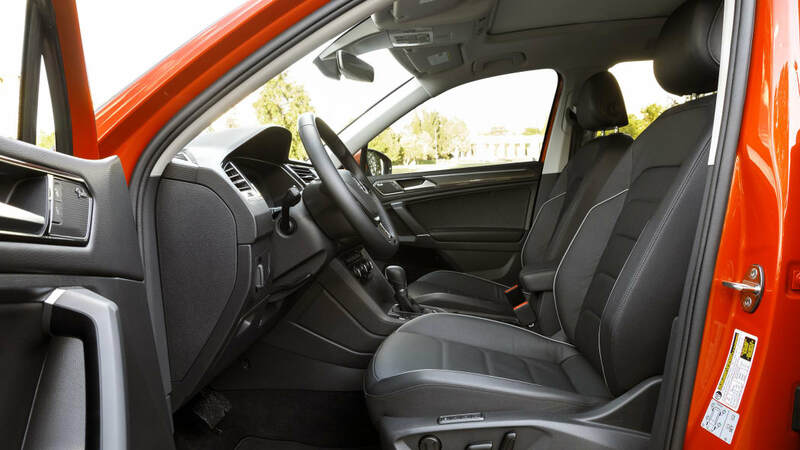 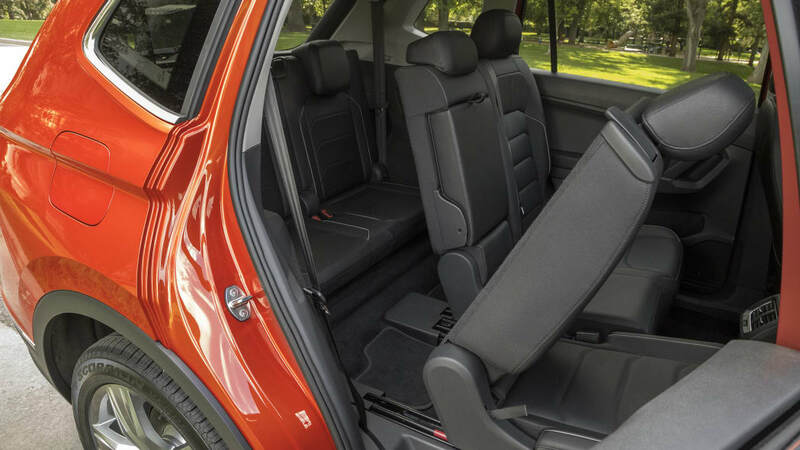 Just about every car company has at least one large crossover or traditional SUV with three rows of seats, and there are still plenty of minivans to pick from. 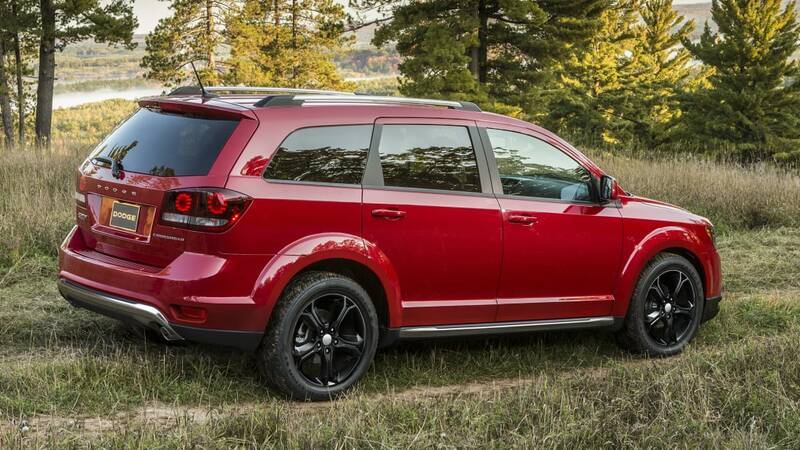 But most of these vehicles are large, pricey, and frequently thirsty. 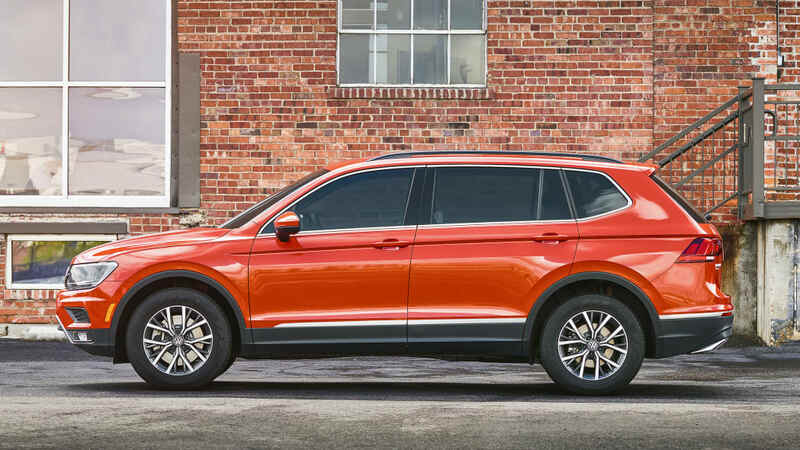 Fortunately, there are still a handful of smaller crossovers that deliver 7-passenger capability in a smaller, cheaper package. 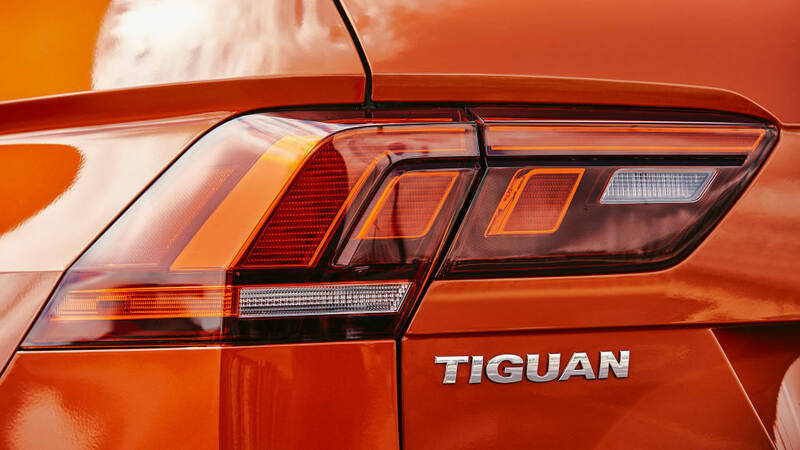 We've gathered four of the small three-row set here to compare them based on space, power, fuel economy, pricing, and more. 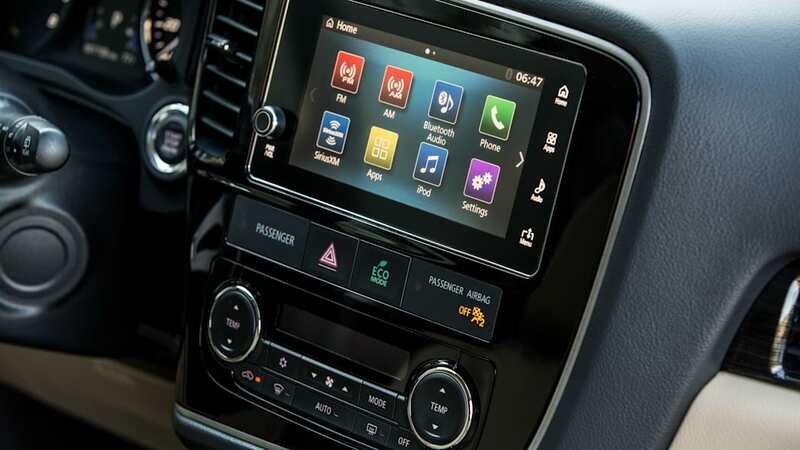 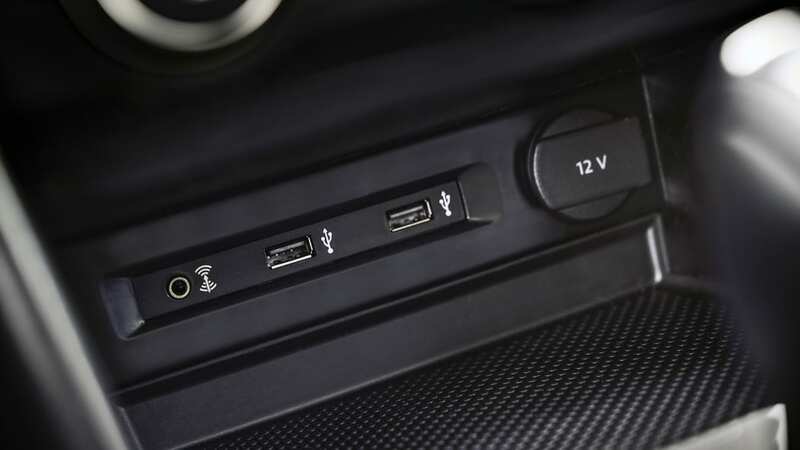 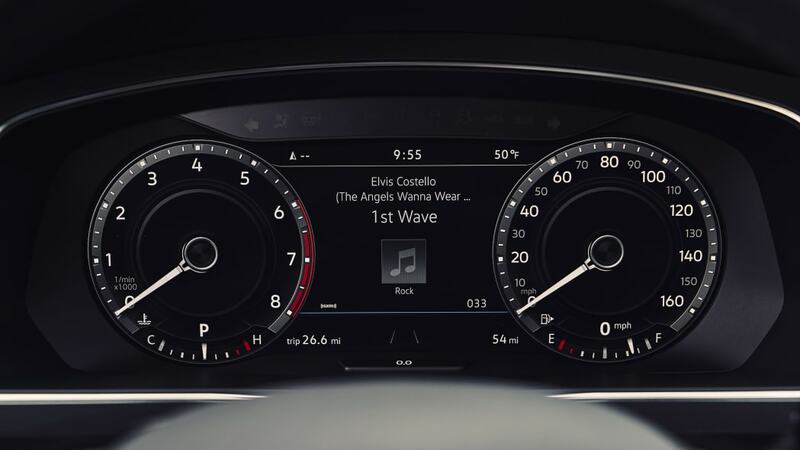 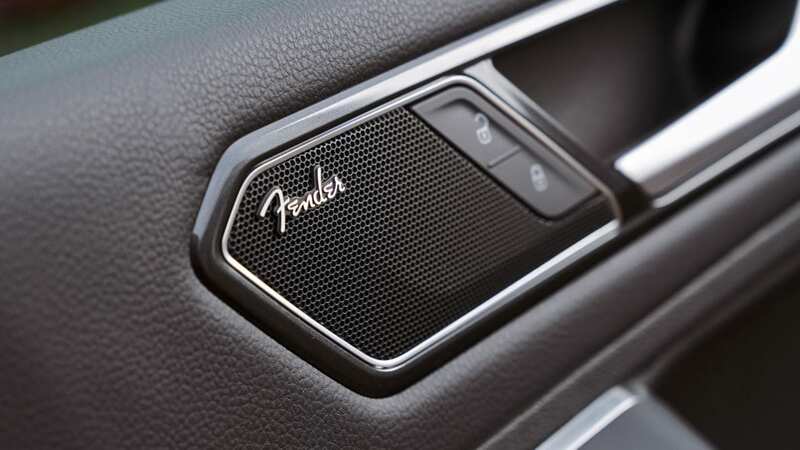 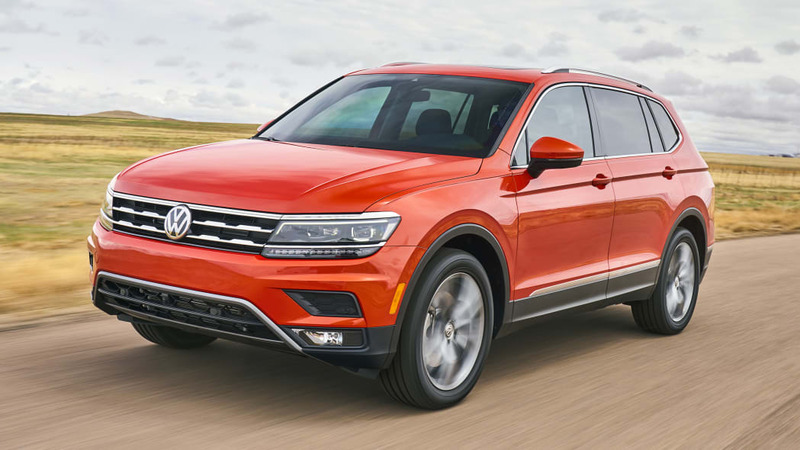 They include the very old Dodge Journey, the slightly less old Mitsubishi Outlander and Kia Sorento, and the relatively new Volkswagen Tiguan. 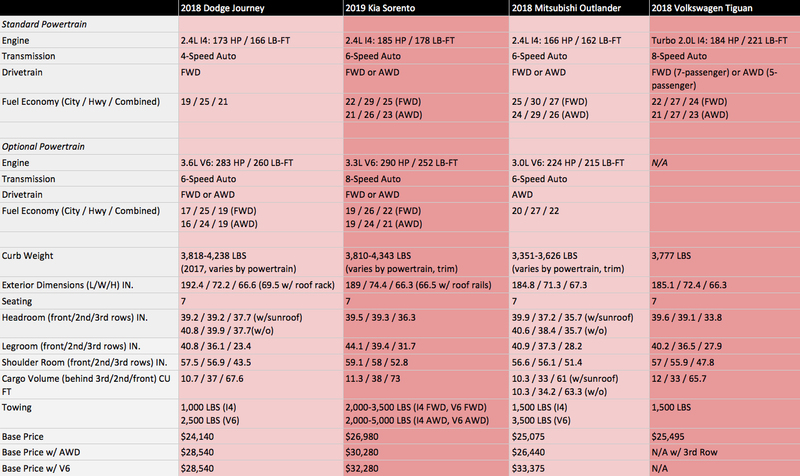 You can see the raw numbers in the chart below, followed by a more detailed breakdown and some notes on how we like each of these vehicles. 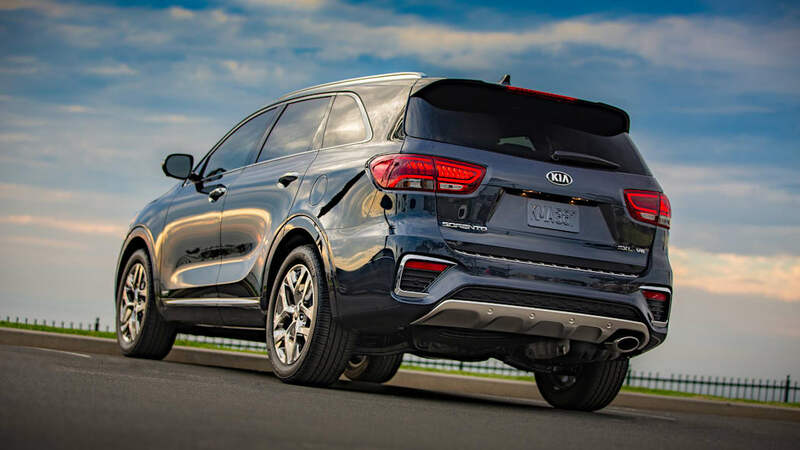 For in-depth opinions on the vehicles, be sure to check out our full reviews, and if you want to compare these with other vehicles, try out our comparison tools. 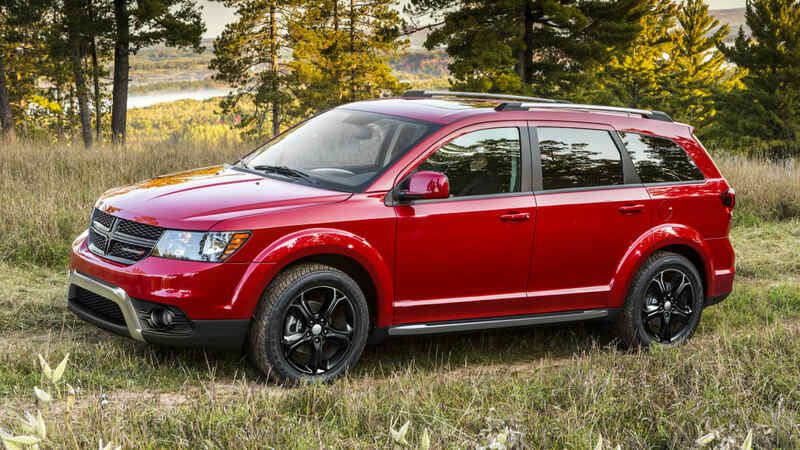 Interestingly, three of the four crossovers here utilize similar engines for their four-cylinder offerings. 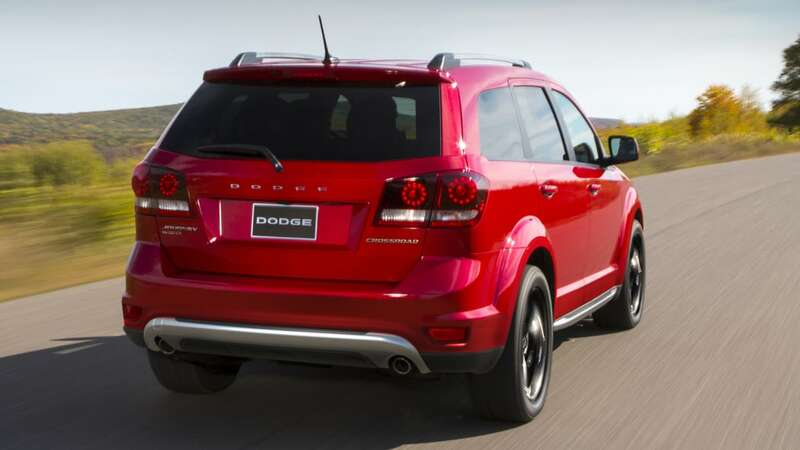 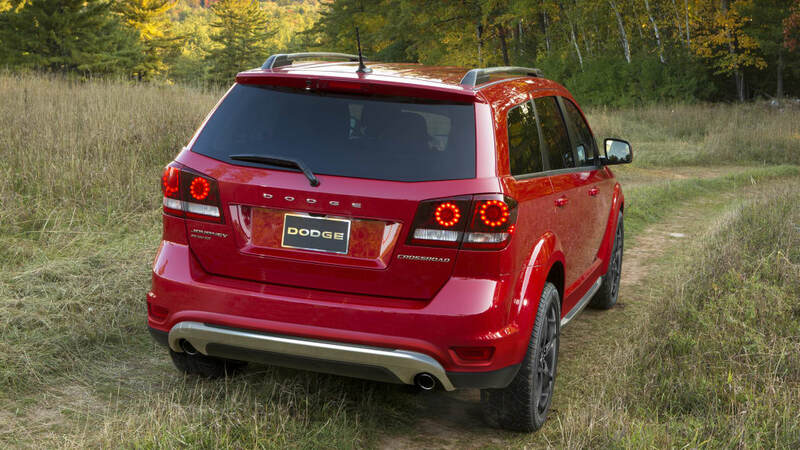 The Dodge, Kia and Mitsubishi all feature naturally aspirated 2.4-liter four-cylinder engines. 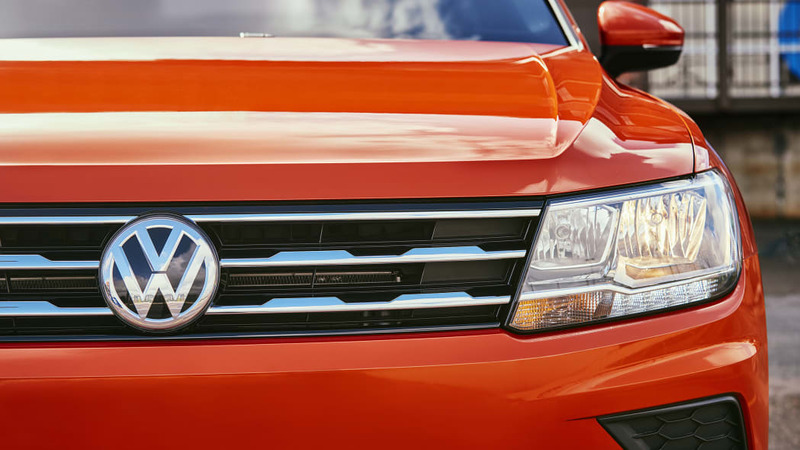 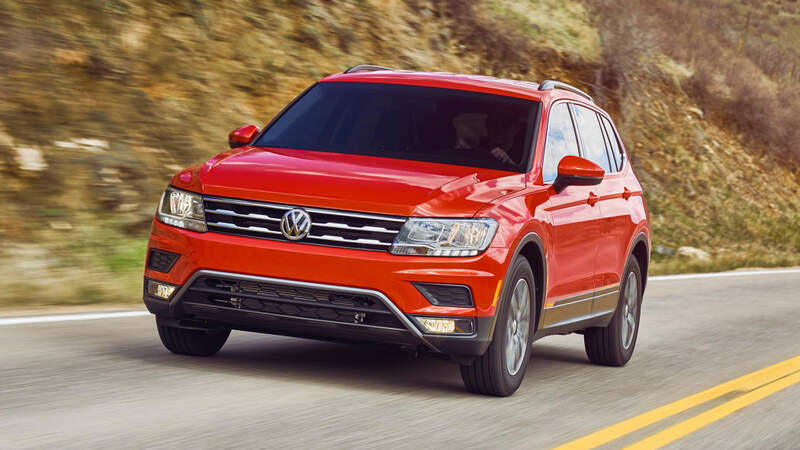 Only the Volkswagen Tiguan chooses turbocharging and a smaller 2.0-liter displacement. 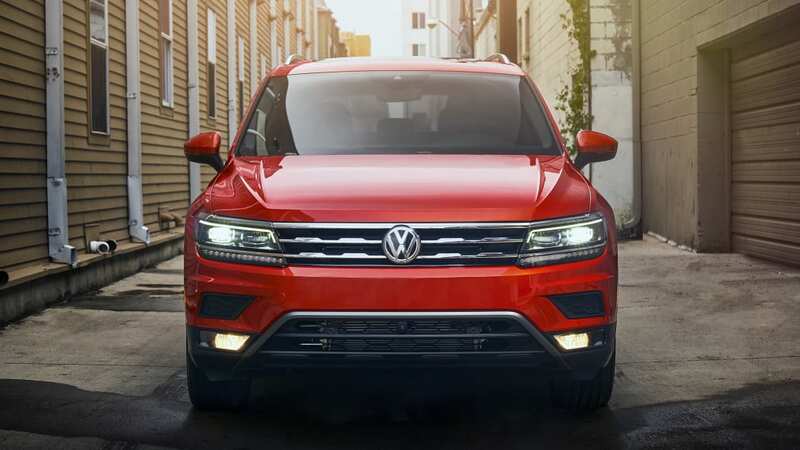 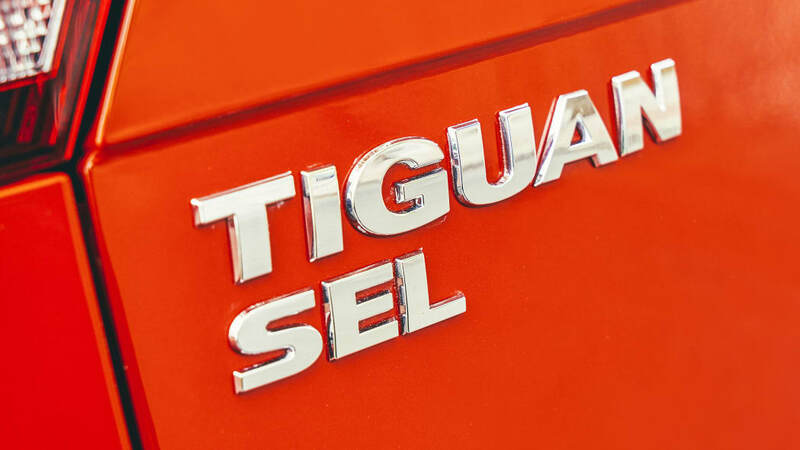 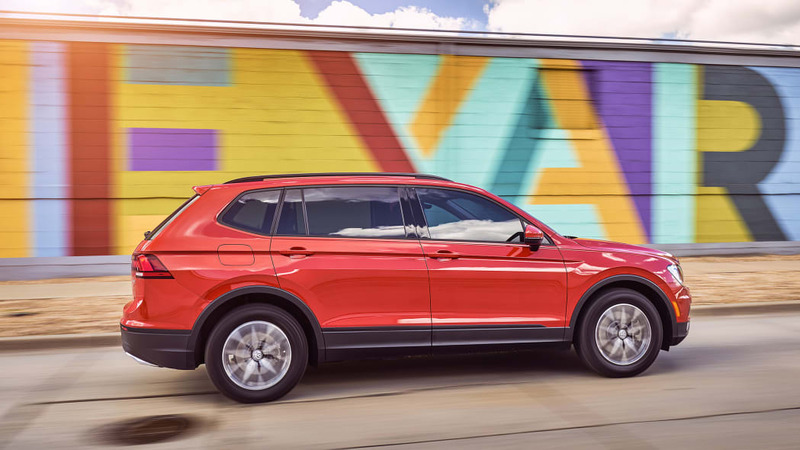 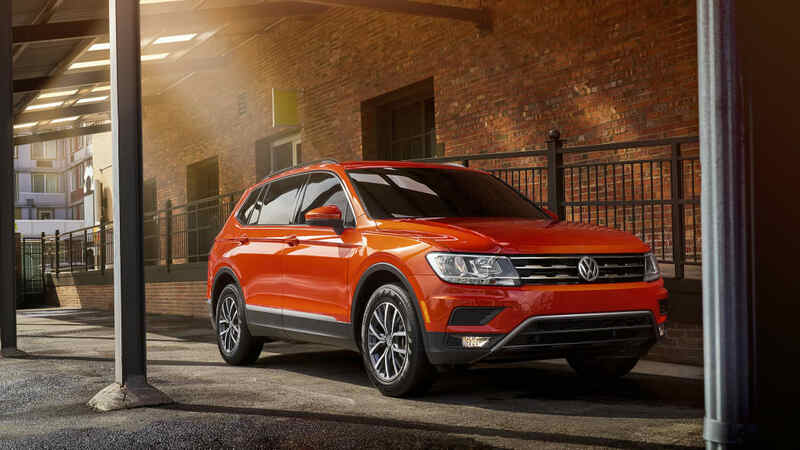 But because of its turbocharger, the Tiguan's four-cylinder is easily the most potent, making a healthy 221 pound-feet of torque, which is more than 40 more than the Sorento, the crossover with the next most torque. 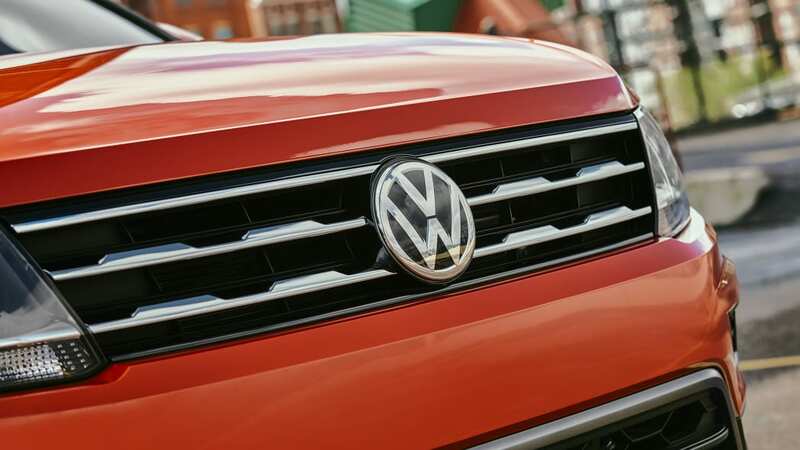 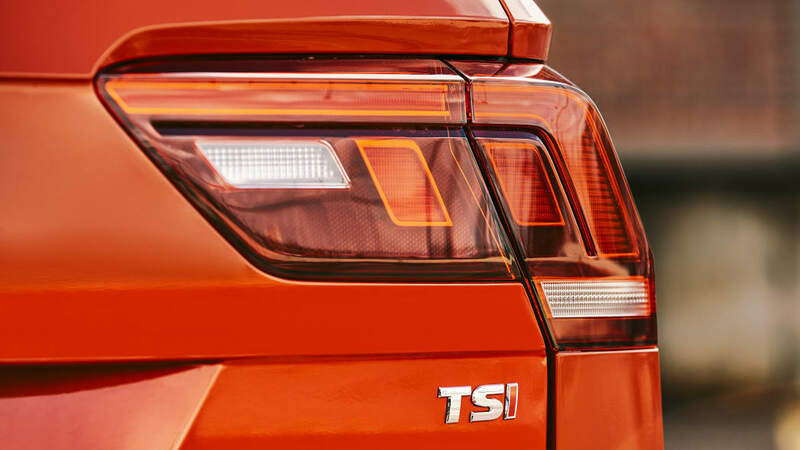 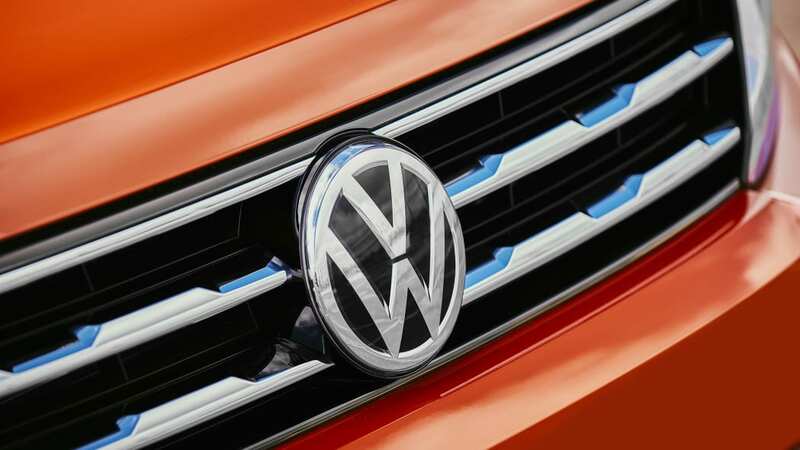 The VW is also second-most powerful, just one horse behind the Sorento. 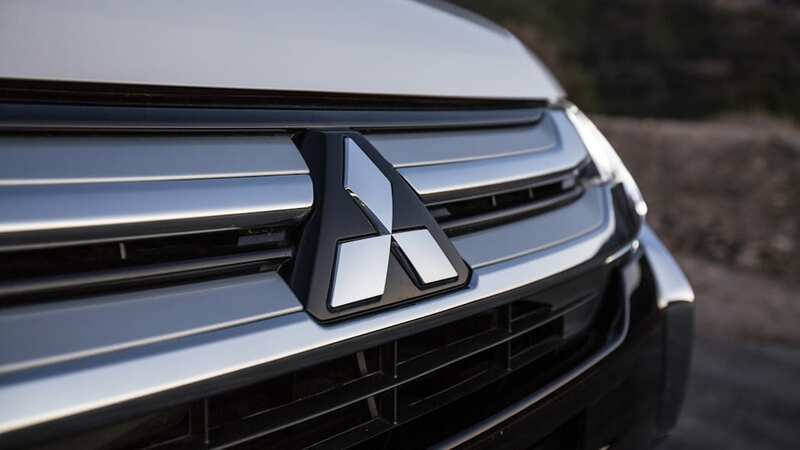 The Outlander is the least powerful in the four-cylinder class. 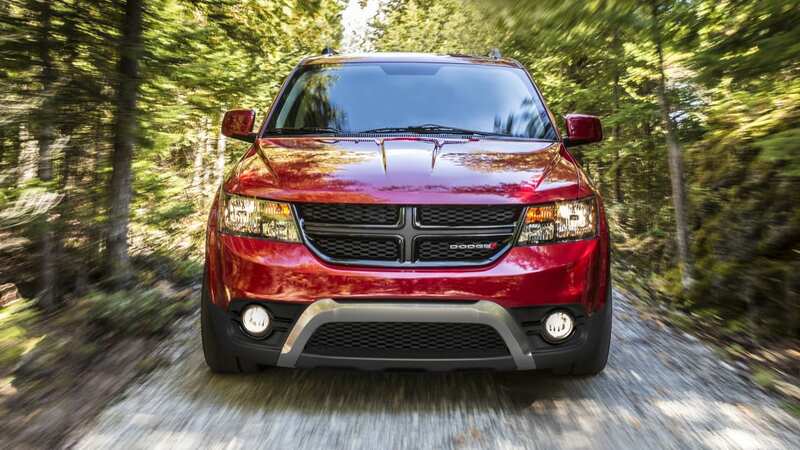 The Journey is only barely better, but it will probably feel as slow or worse thanks to its ancient 4-speed automatic. 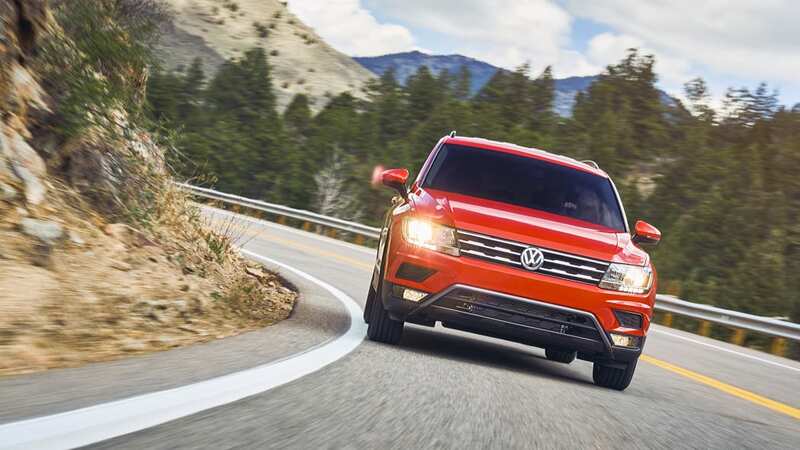 The four-cylinder Sorento and Outlander each have 6-speed automatic transmissions, and the VW has an 8-speed. 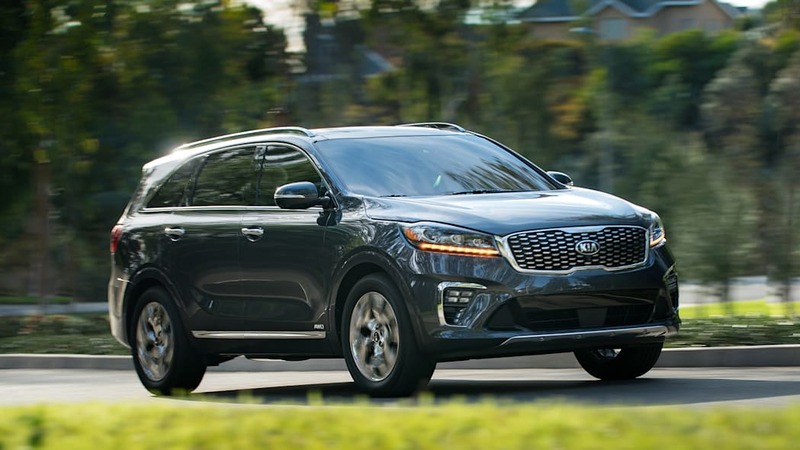 The Sorento with a V6 has an 8-speed, too. 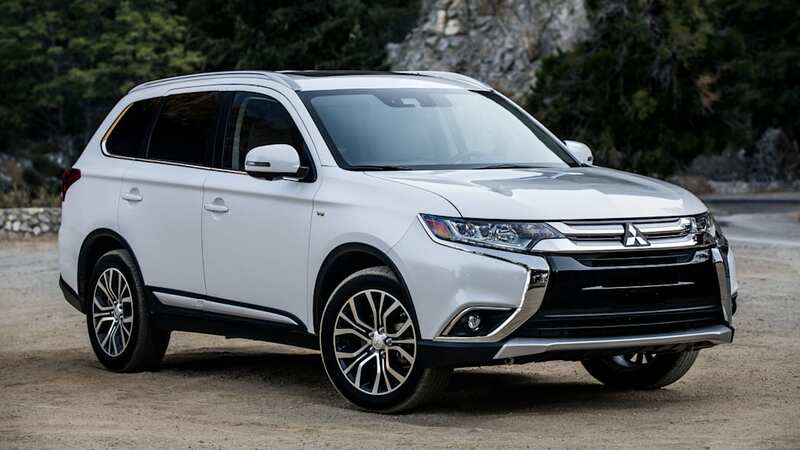 Moving up to the V6 class, the Outlander is once again at the bottom. 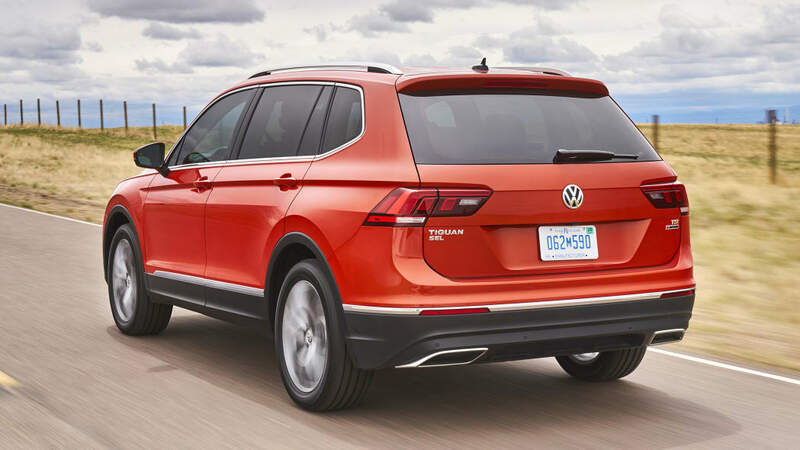 It actually makes less torque than the turbo VW Tiguan. 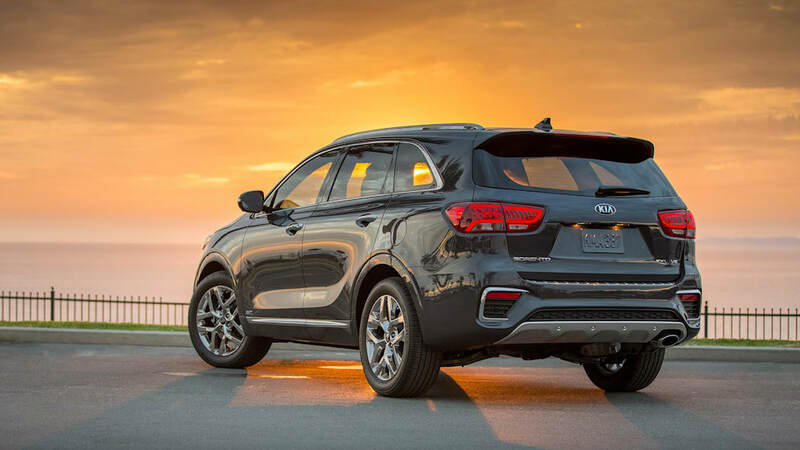 The Journey and Sorento are almost perfectly matched. 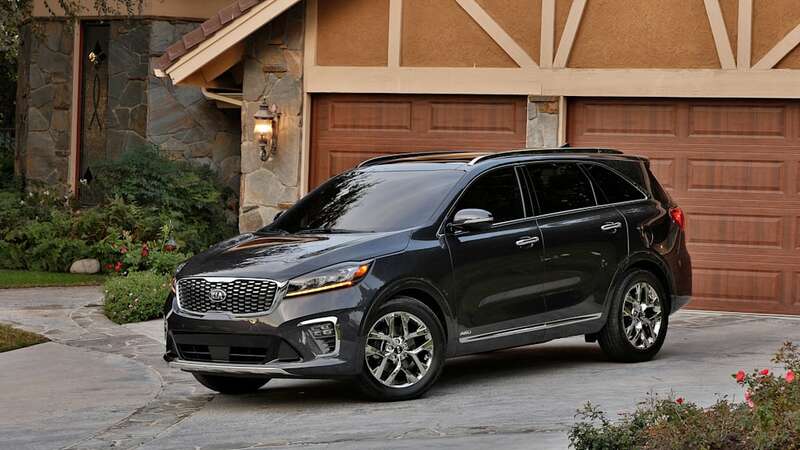 The Journey makes a bit more torque; the Sorento makes a bit more power. 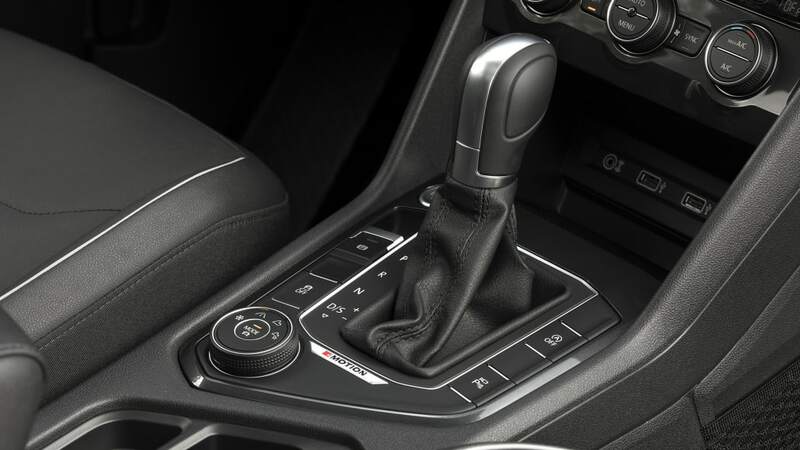 The Journey also gets upgraded to a 6-speed automatic. 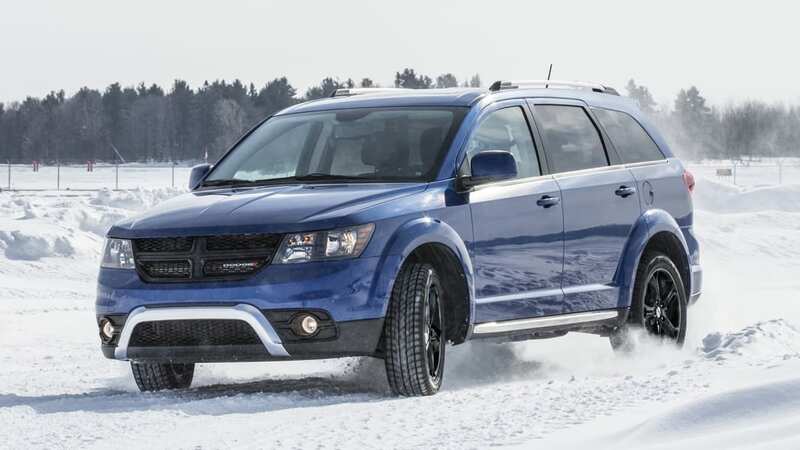 Another powertrain consideration to bare in mind is whether all-wheel-drive is necessary. 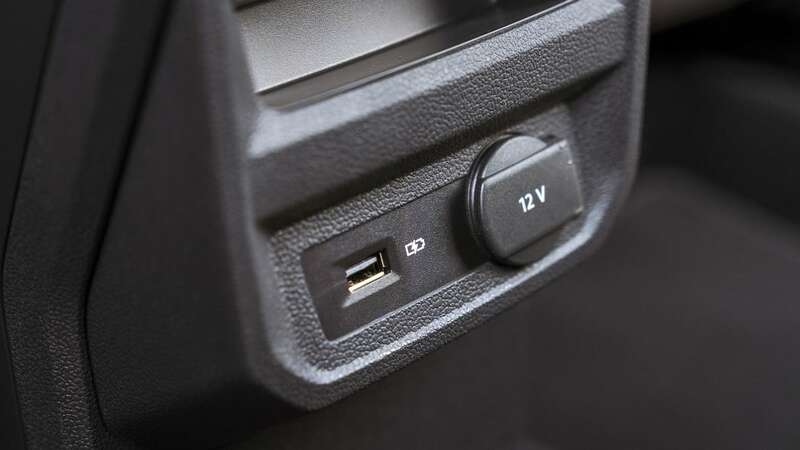 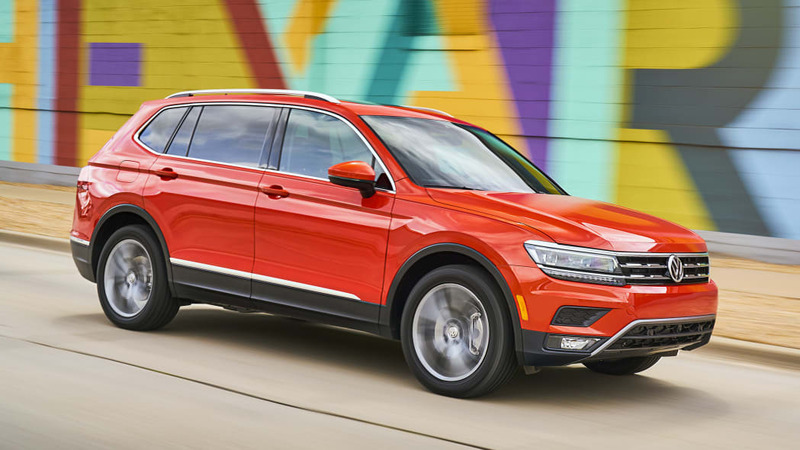 The four-cylinder Journey and the three-row Tiguan are only available with front-wheel drive. 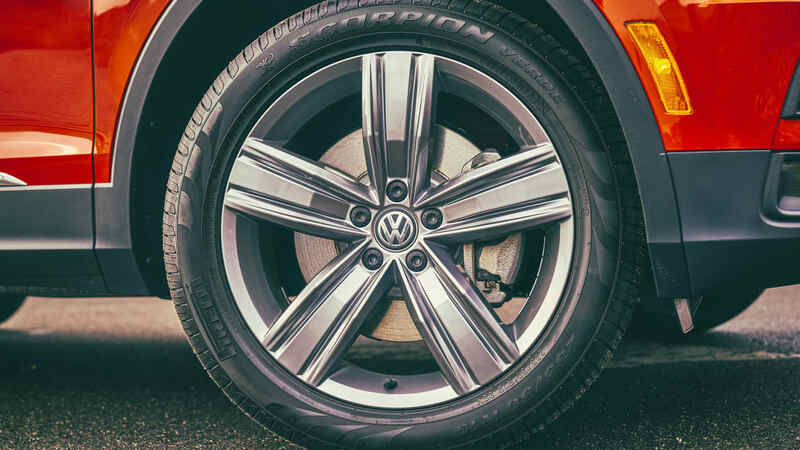 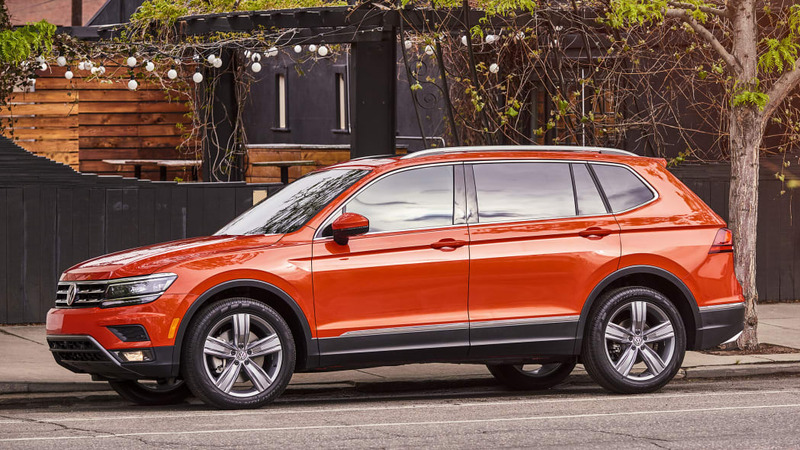 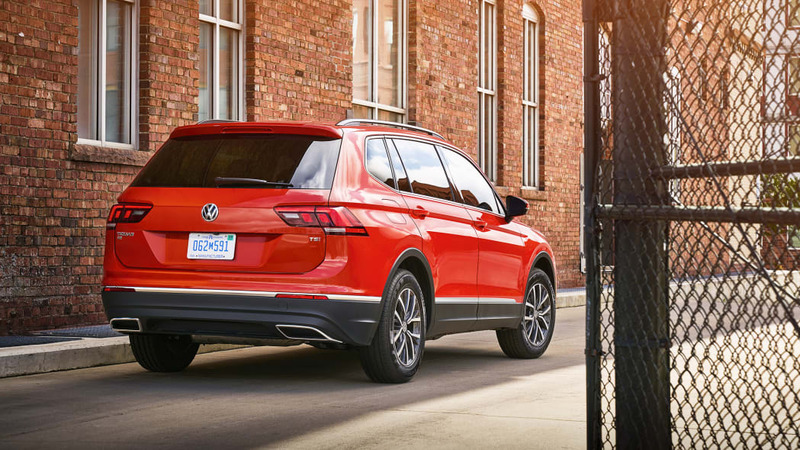 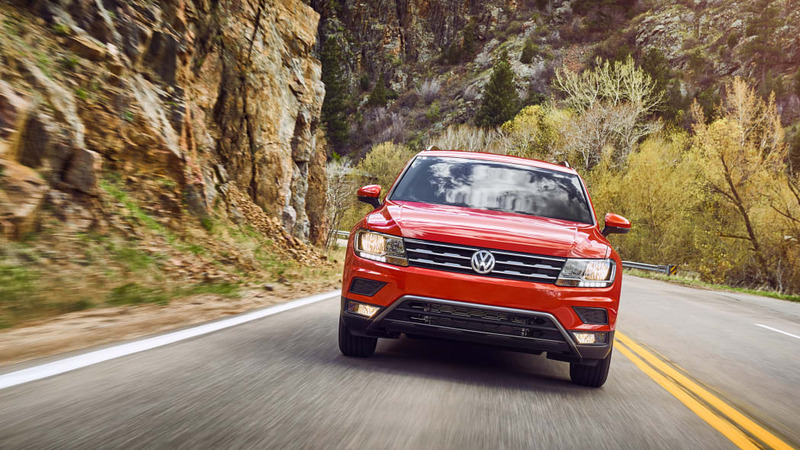 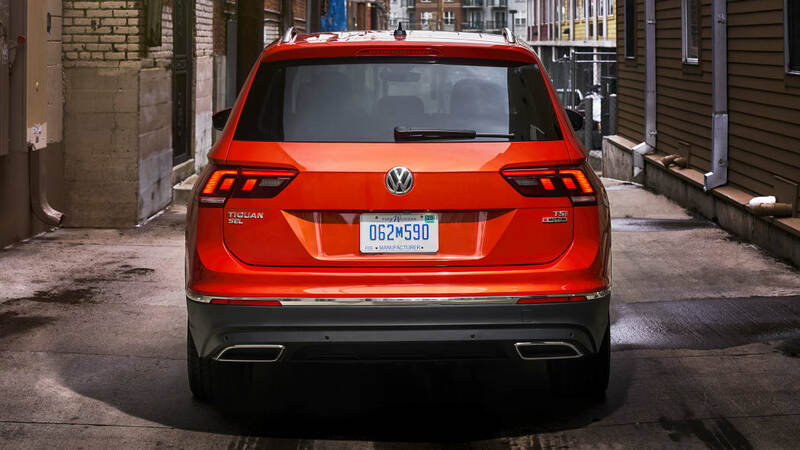 If you want all-wheel drive on the Journey, you have to get it with the V6, and on the Tiguan, you have to lose the third-row for a driven rear axle. 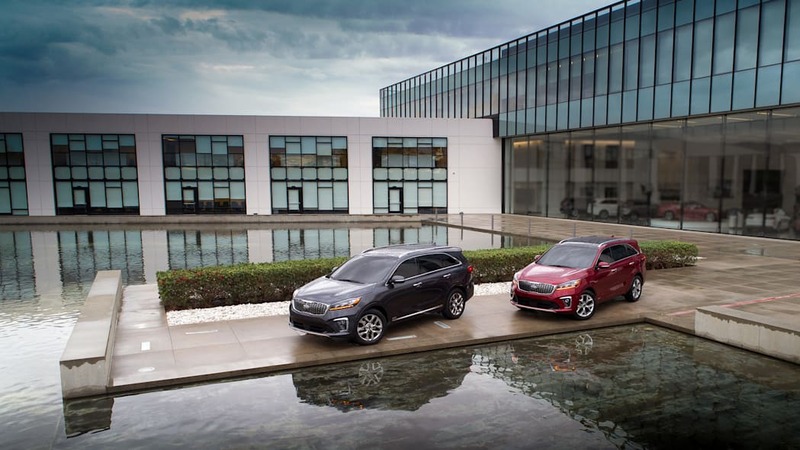 All-wheel drive is available on both four- and six-cylinder Sorentos and Outlanders, and it's standard on the V6 Outlander. 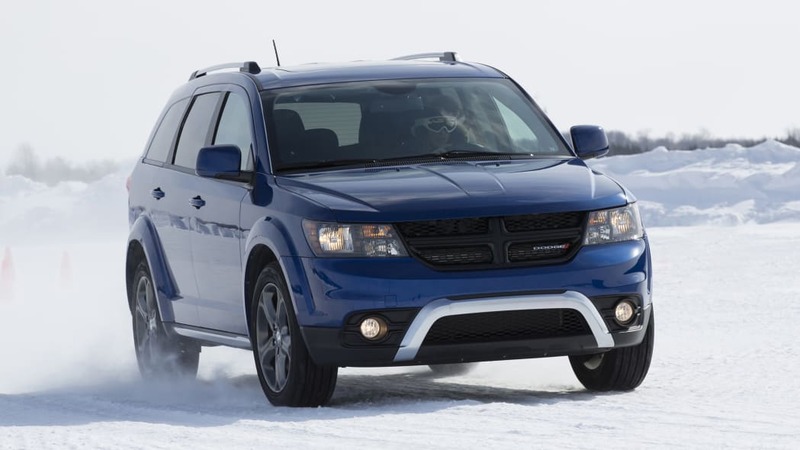 Although the Outlander is the least powerful, it is the most fuel efficient. 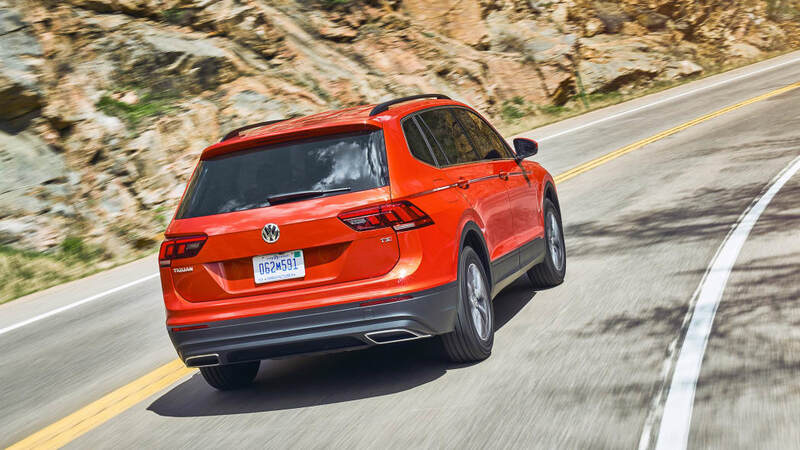 It has the highest combined fuel economy in every engine and drivetrain class, and it's the only one that hits 30 mpg on the highway. 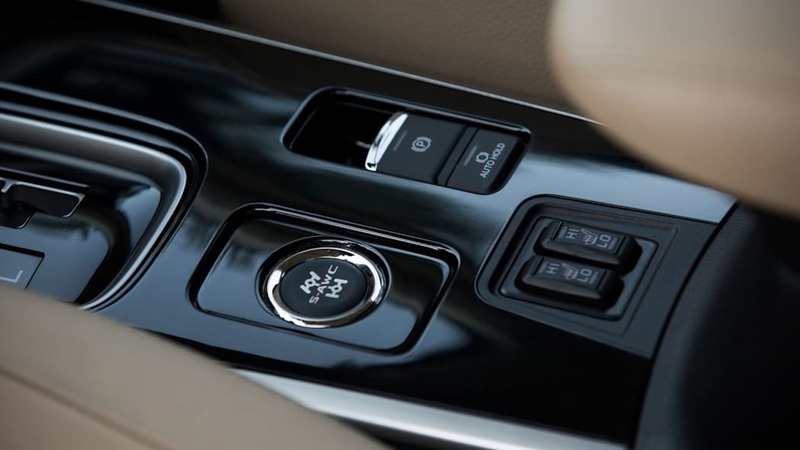 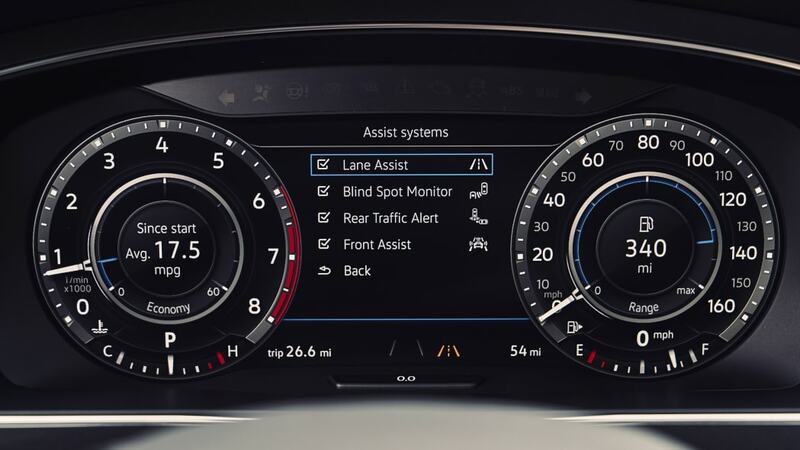 Granted that model is the front-drive version. 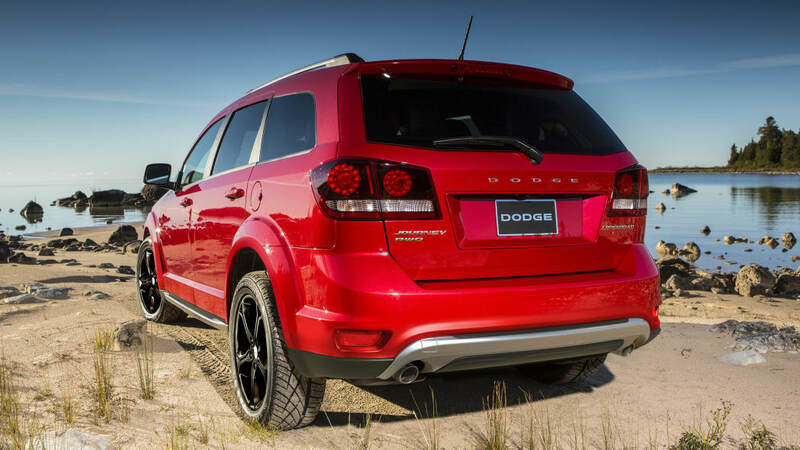 The Journey is the thirstiest in each group. 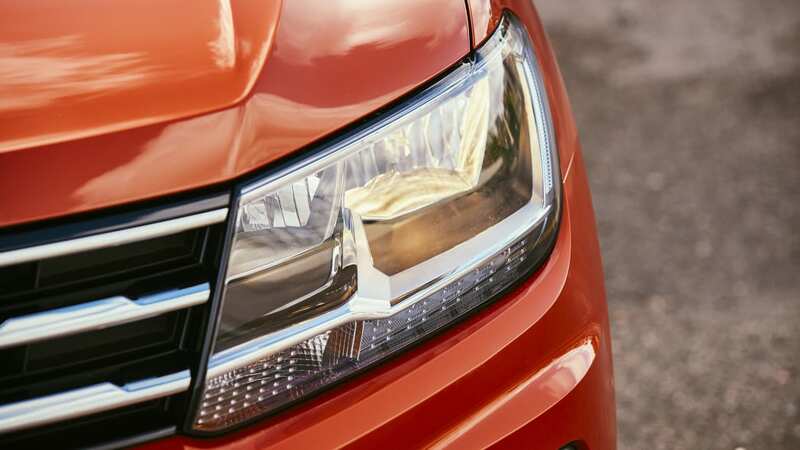 Interestingly, the four cylinder is only more efficient than the V6 in the city and in combined driving. 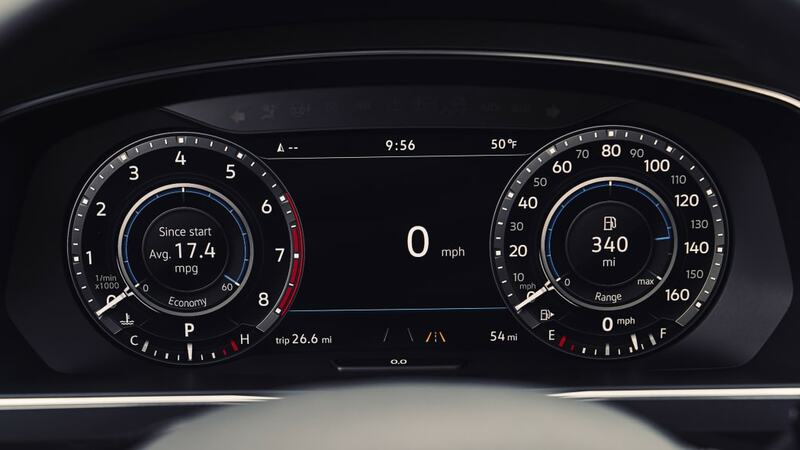 Its highway economy is the same as the front-drive V6, surely due in part to the additional gears that come with the V6. 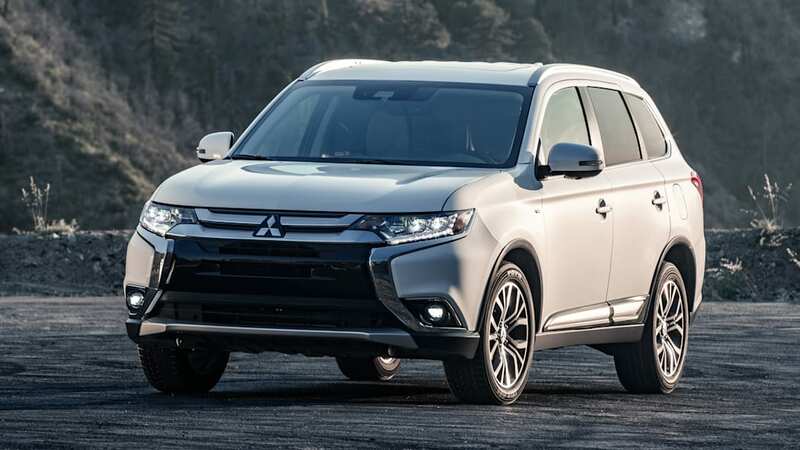 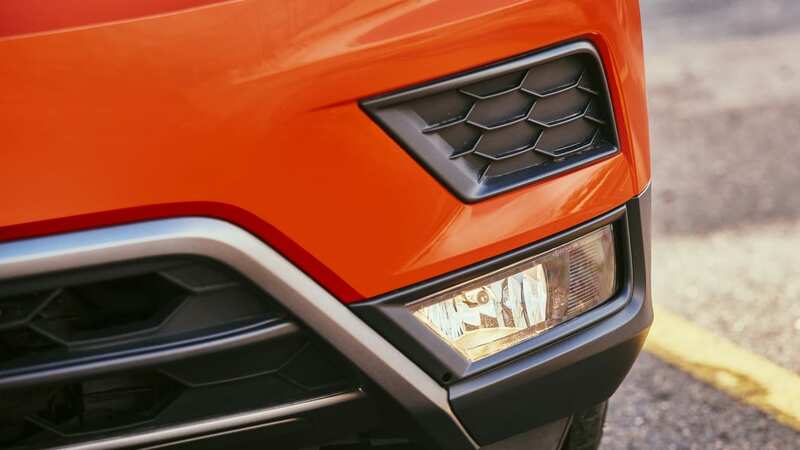 Looking at the size of each of these crossovers, we can see one of the secrets to the Outlander's fuel economy success: It's by far the lightest of the four. 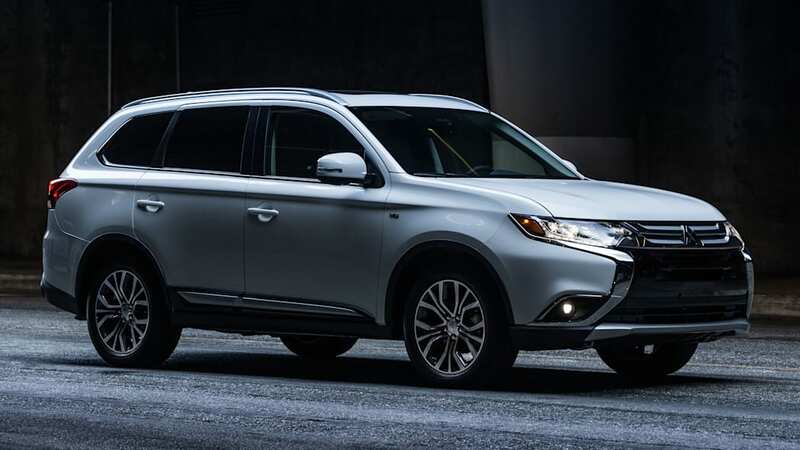 It's between 500 and 600 lighter than the Journey and Sorento, and the heaviest Outlander is a little over 100 pounds lighter than the three-row VW Tiguan. 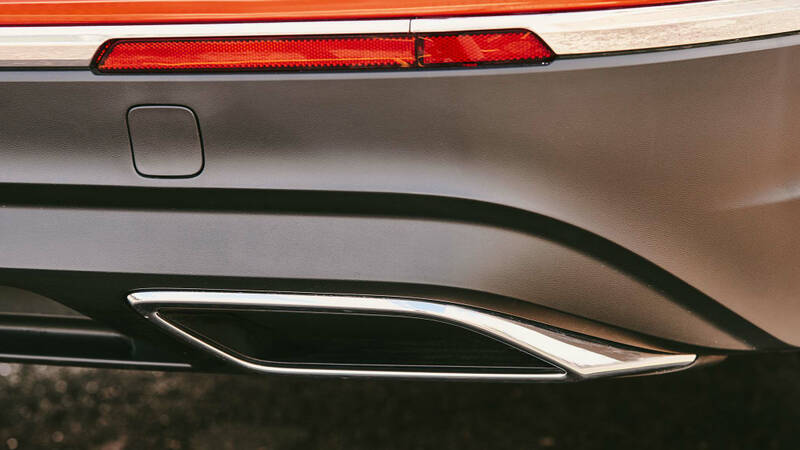 It's also the shortest and most narrow of the group. 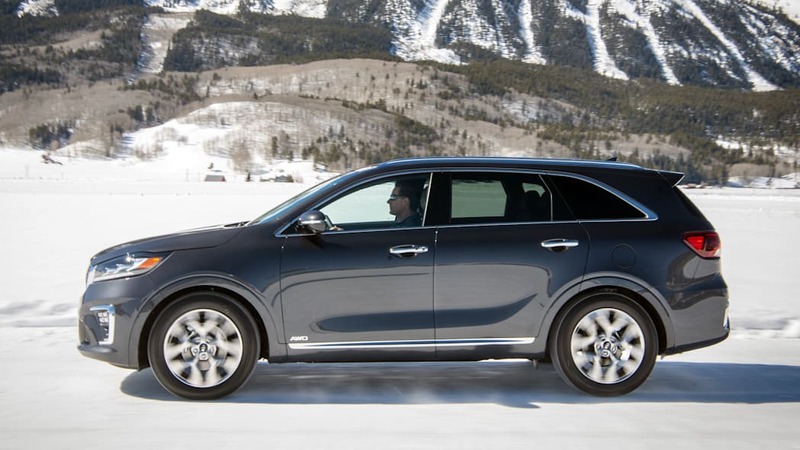 The Journey is the longest, and the Sorento is the widest. 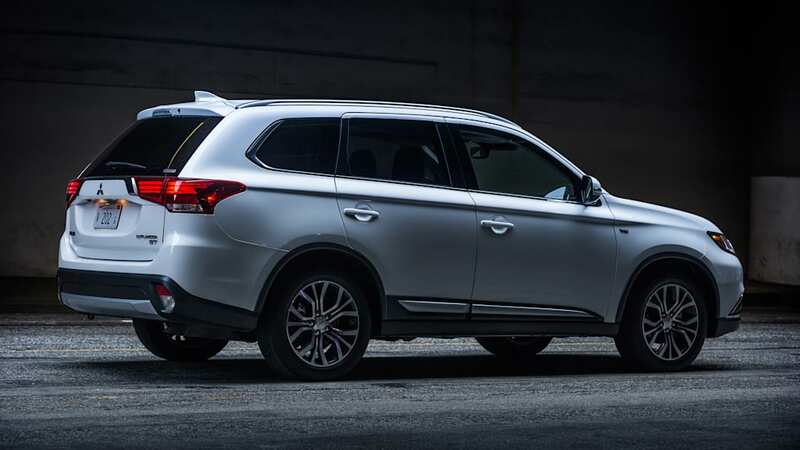 Also interesting is that the Outlander doesn't pay much of a penalty for its smaller exterior dimensions. 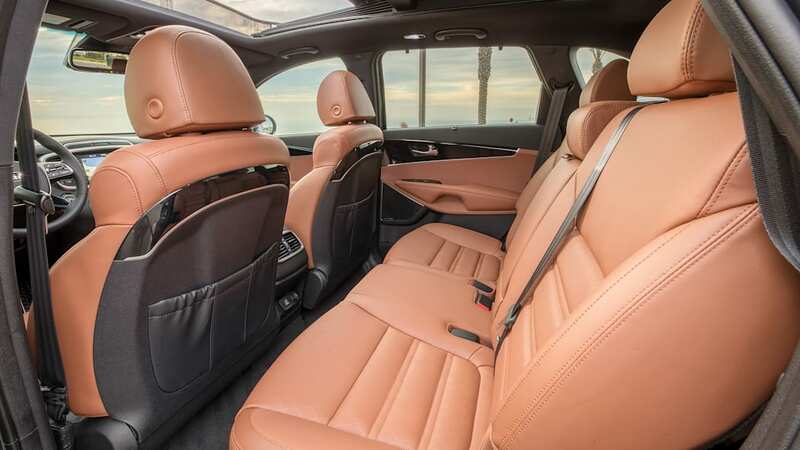 It has the second-best second- and third-row legroom and shoulder room. 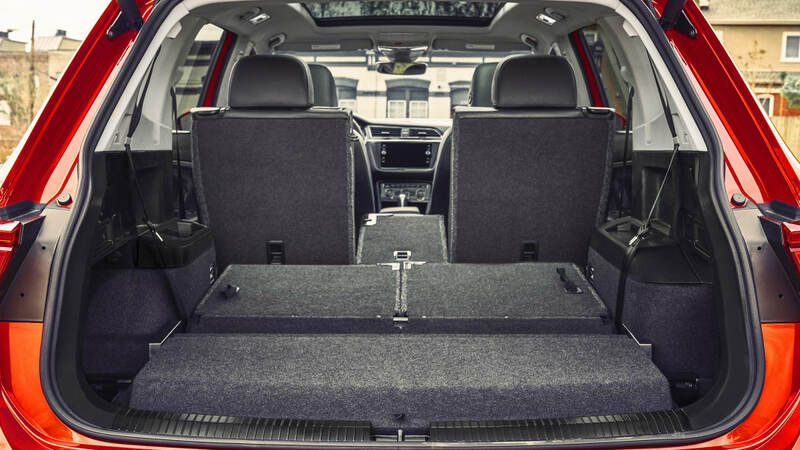 Headroom is a little more tight, though. 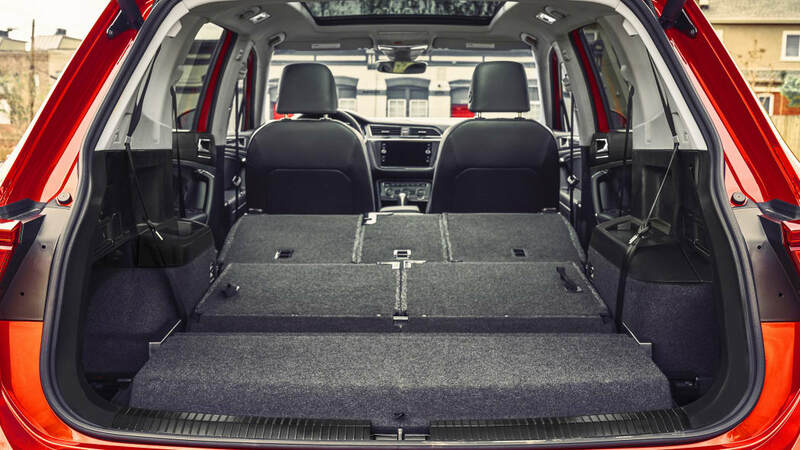 The big price comes in less maximum cargo capacity. 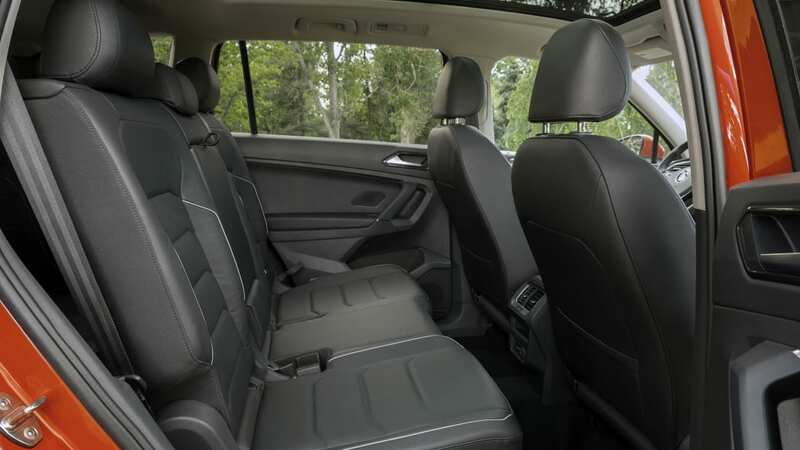 It has the least of the bunch, though space behind second- and third-row seats is on par with the rest. 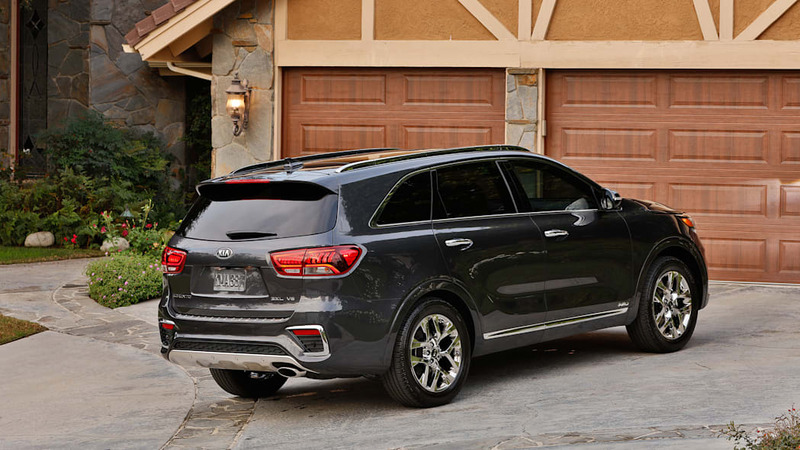 The ultimate cargo hauler is the Sorento. 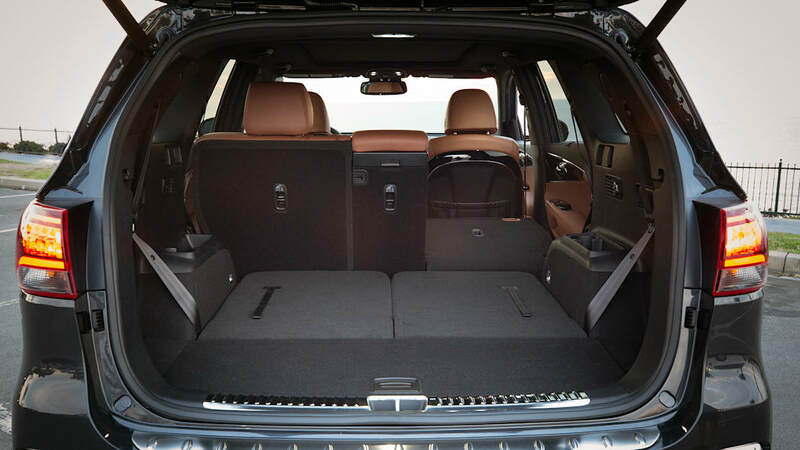 It has the most leg and shoulder room in all rows, and is roughly tied with the Journey for headroom. 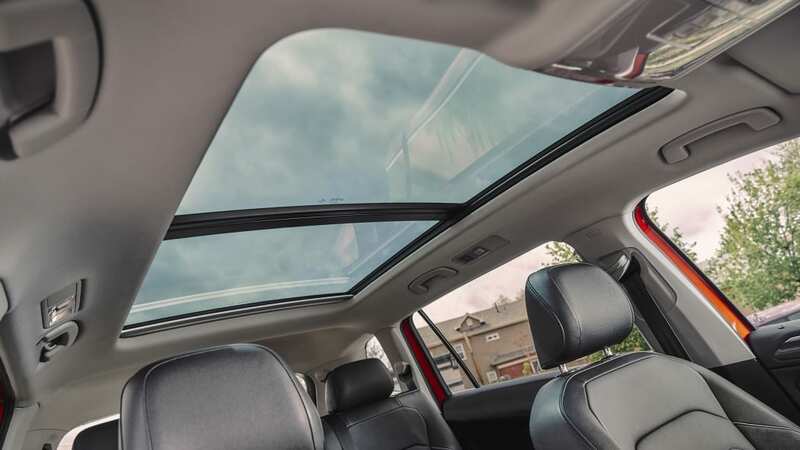 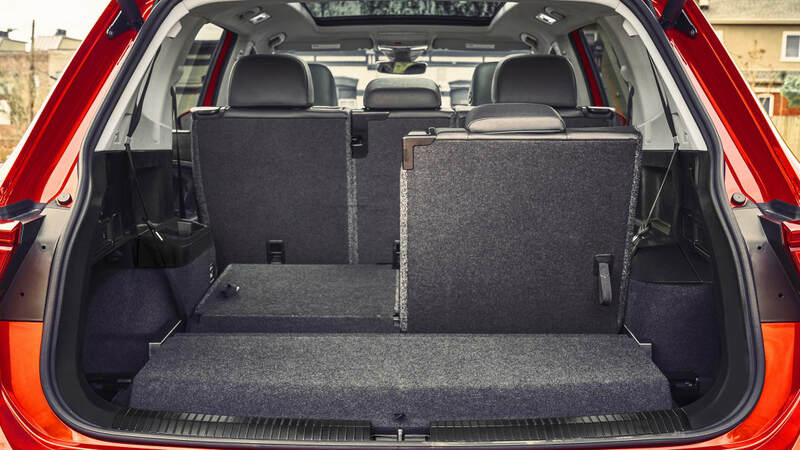 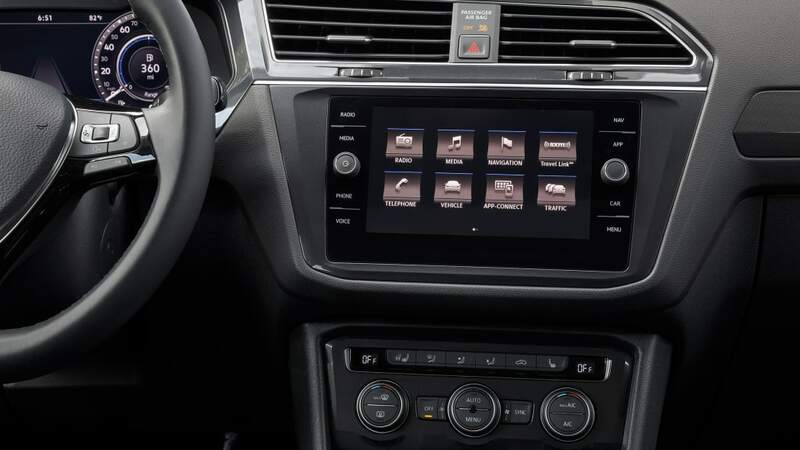 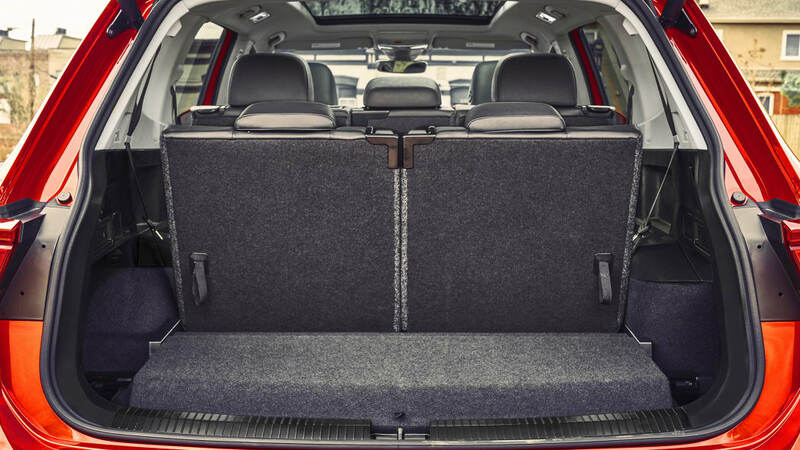 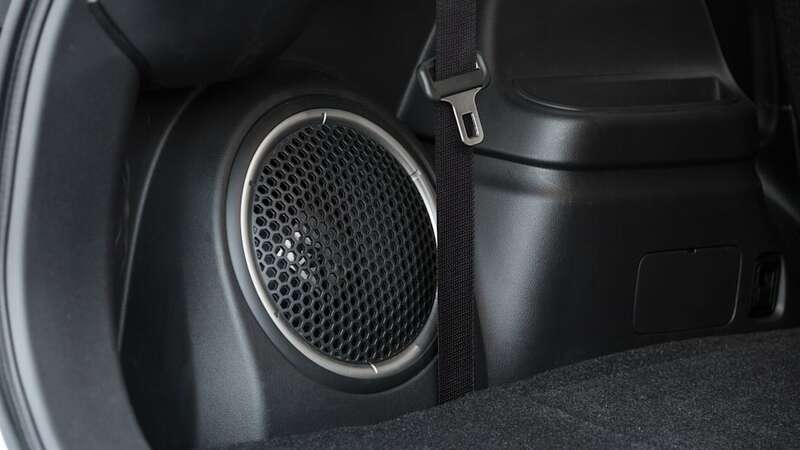 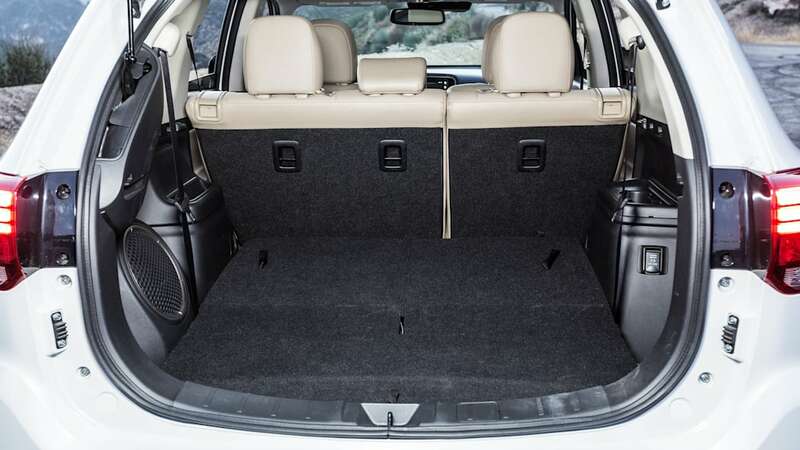 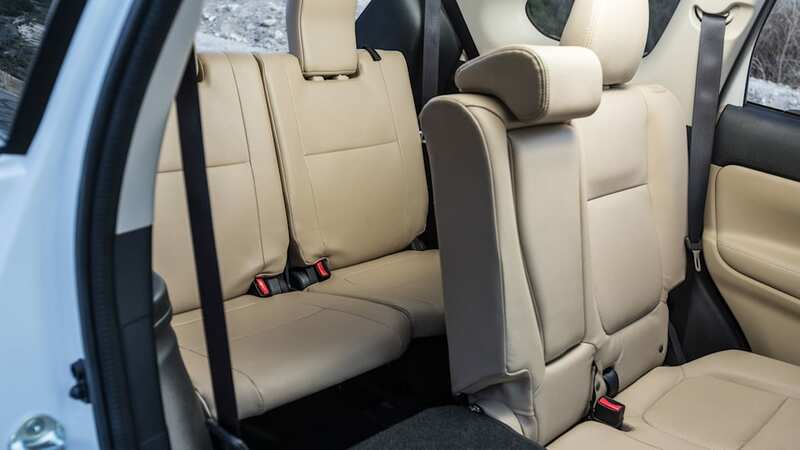 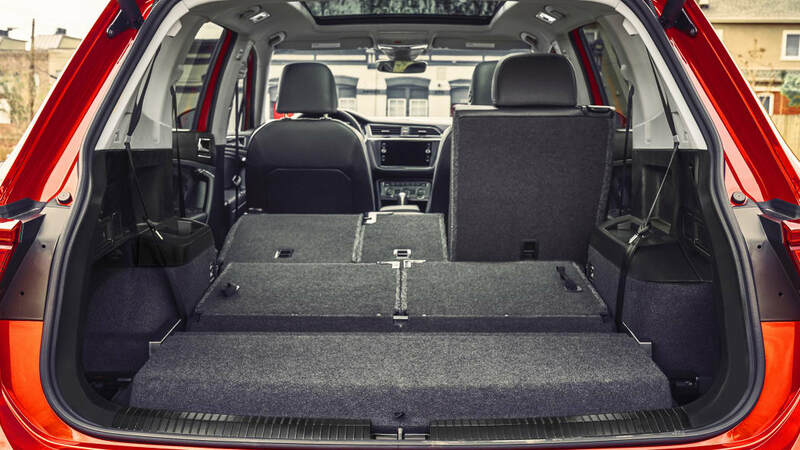 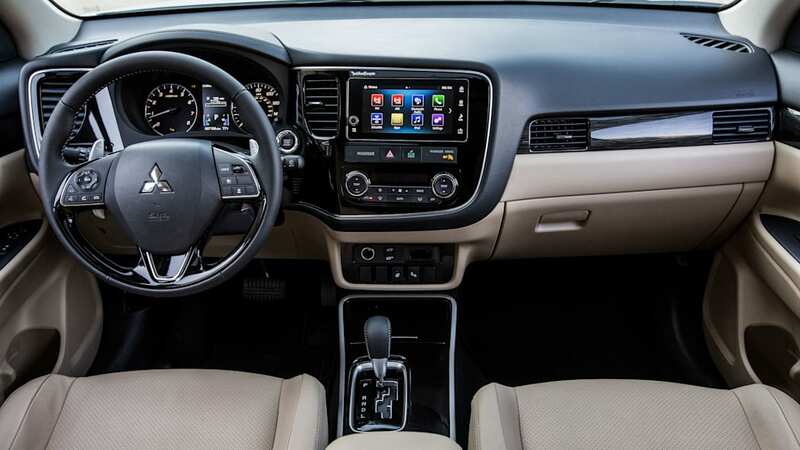 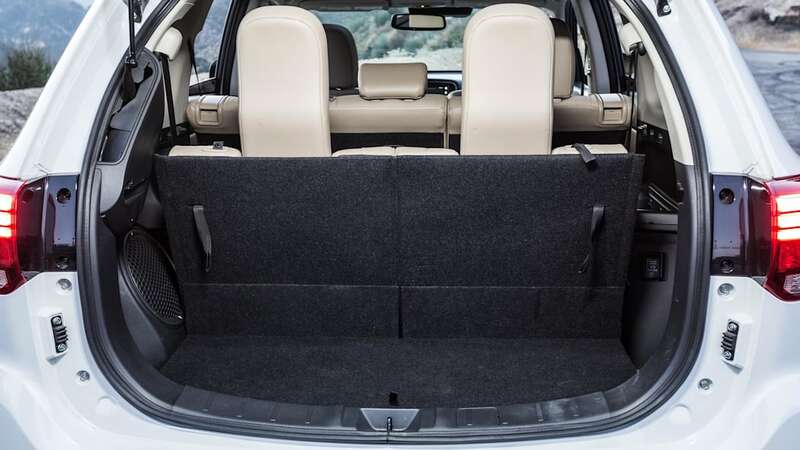 The Sorento also has the most maximum cargo space and space behind the second row seats, as well as second most cargo space behind the third row. 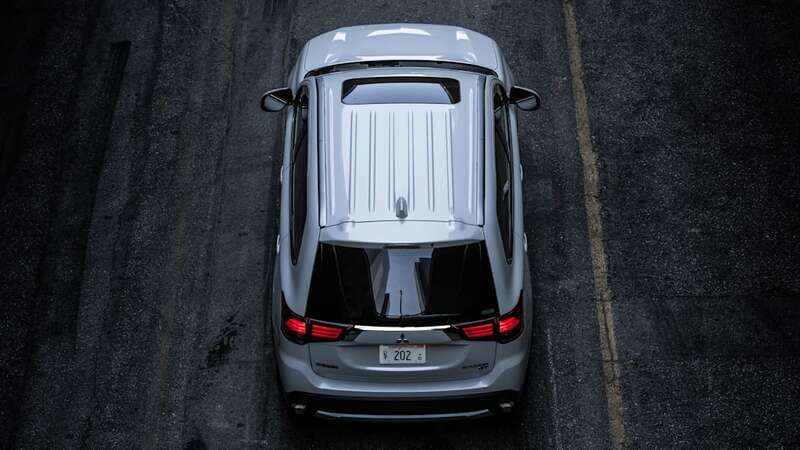 It gets an extra bonus in having the most towing capacity. 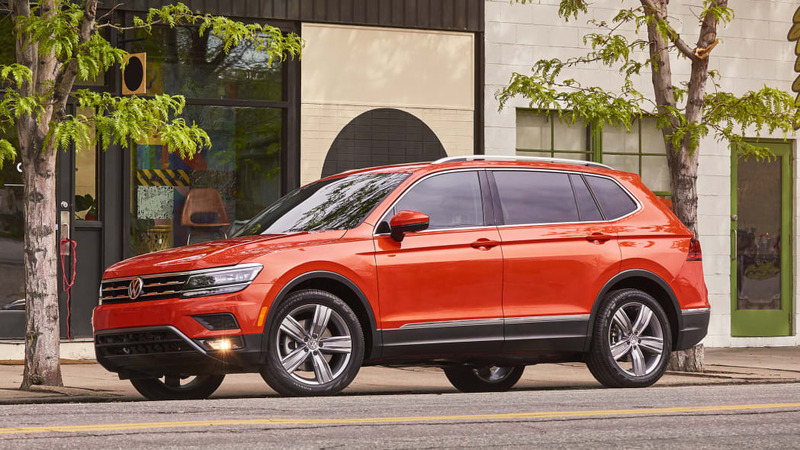 All four-cylinder models can pull 2,000 pounds, which is 500 to 1,000 pounds more than the other four-cylinder models. 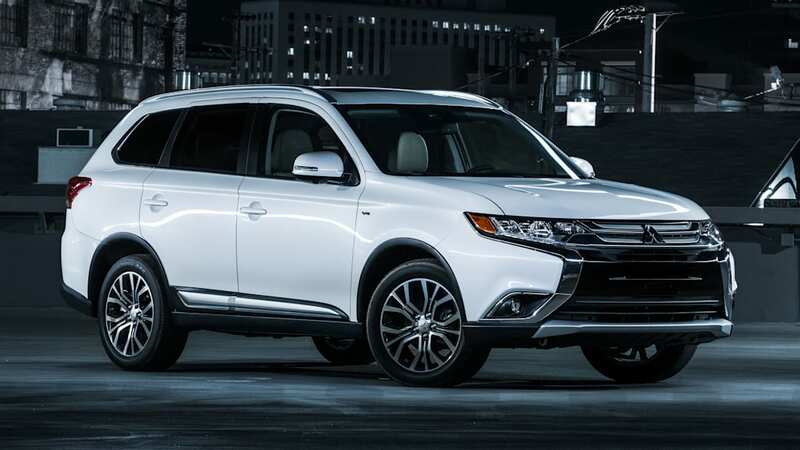 The V6 with front drive can tow 3,500 pounds, which is only matched by the Outlander, and the V6 with all-wheel drive can tow a best of 5,000 pounds. 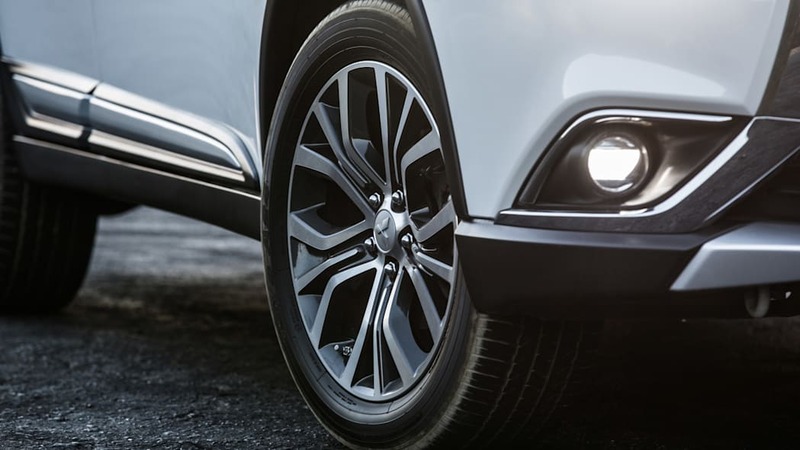 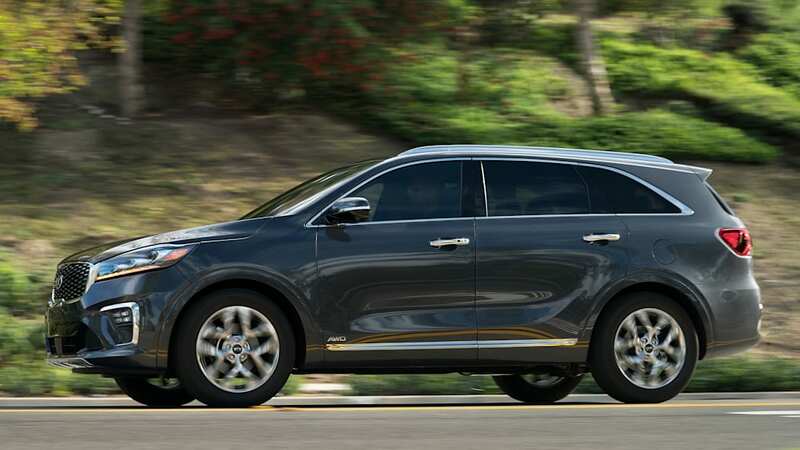 These four crossovers are surprisingly close in price, with just $2,840 separating them in base prices. 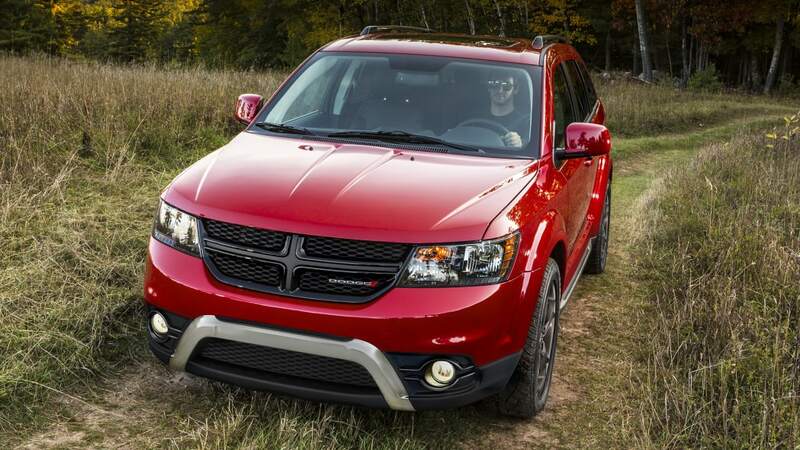 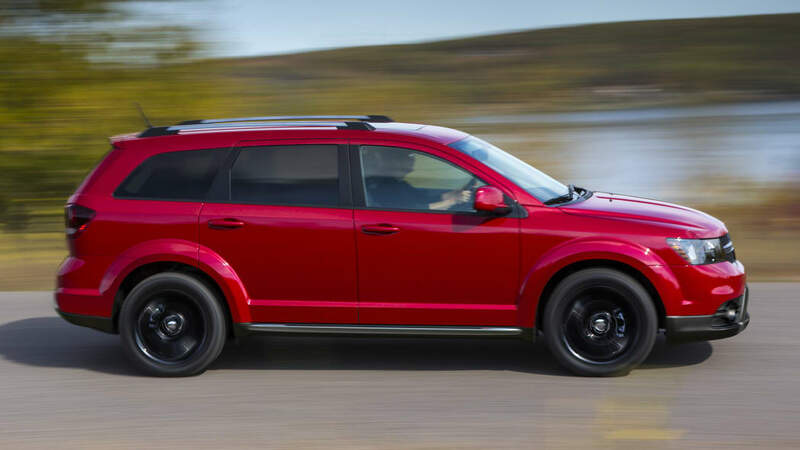 The cheapest is the Dodge Journey at barely over $24,000, and the Kia is the priciest at just under $27,000. 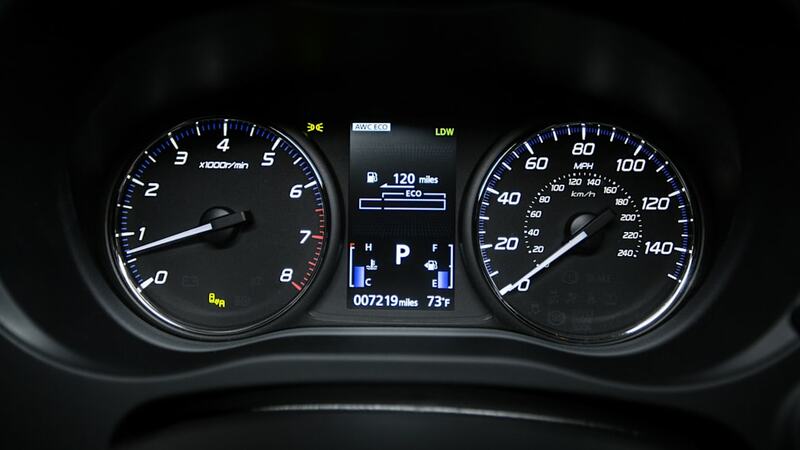 Depending on engine and drivetrain, though, those rankings change a bit. 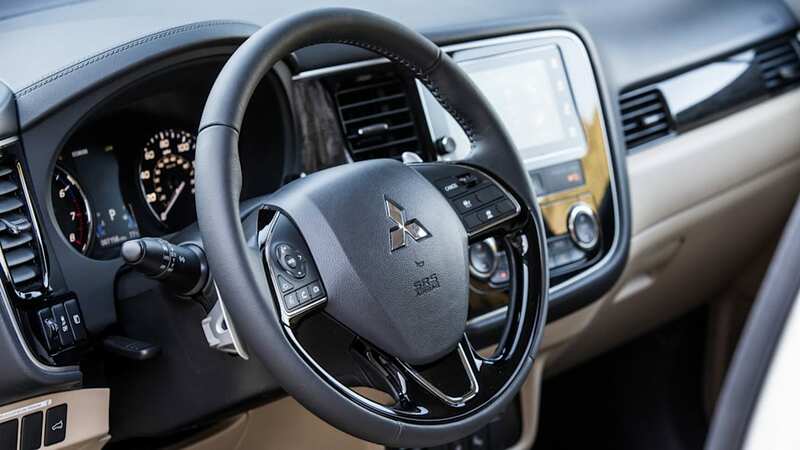 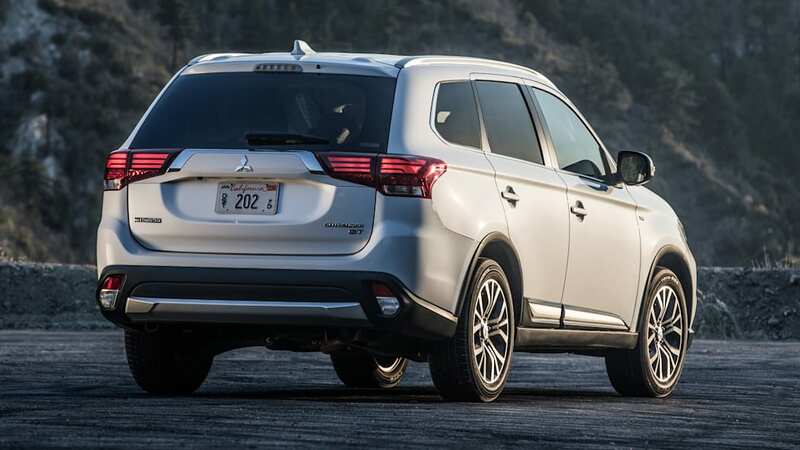 The Mitsubishi is the cheapest way to get all-wheel-drive with three rows of seating with a price of $26,440. 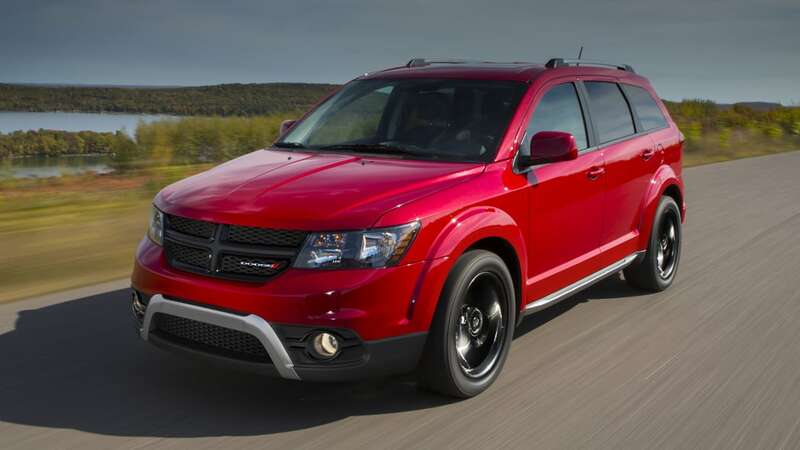 If you want a V6, the Journey once again becomes the cheapest at a price of $28,540. 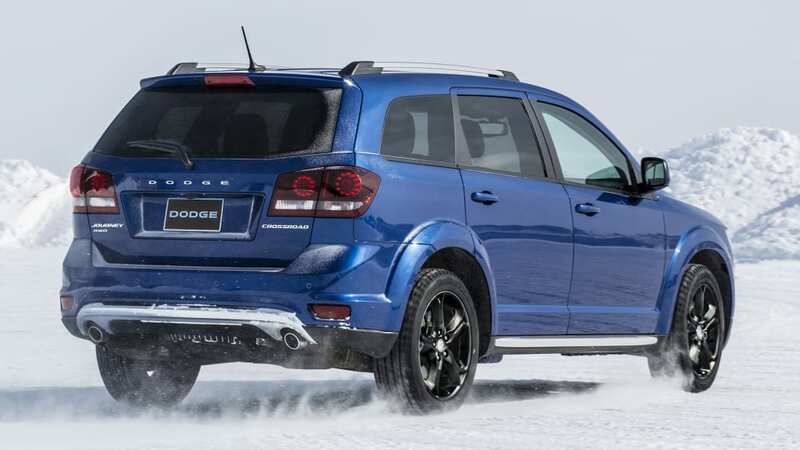 As an added bonus, that includes all-wheel-drive. 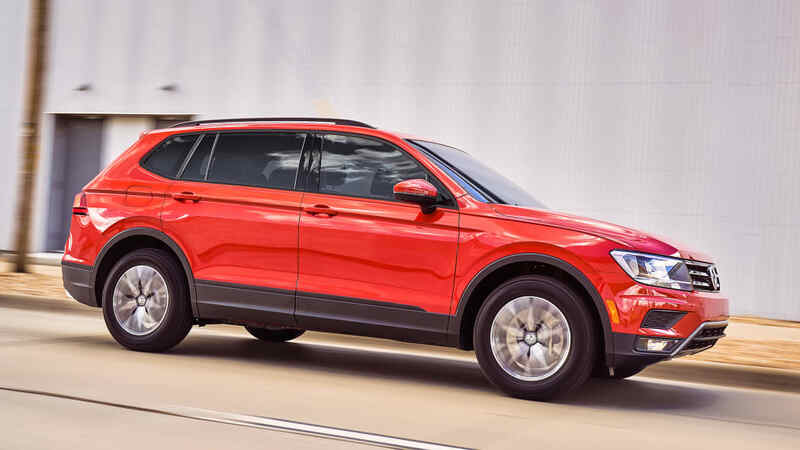 It is possible to get the V6 with front drive, but it also requires selecting a trim higher than the base model, bringing the base price higher than that shown above. 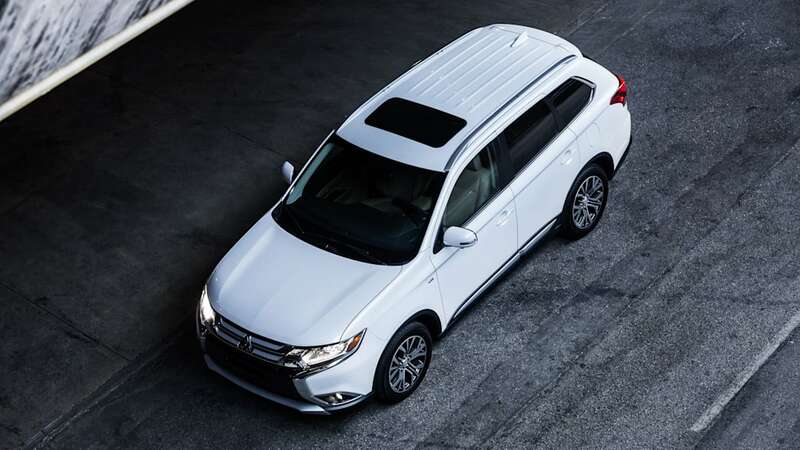 The Outlander has the highest base price for a V6 model, which also comes with all-wheel-drive. 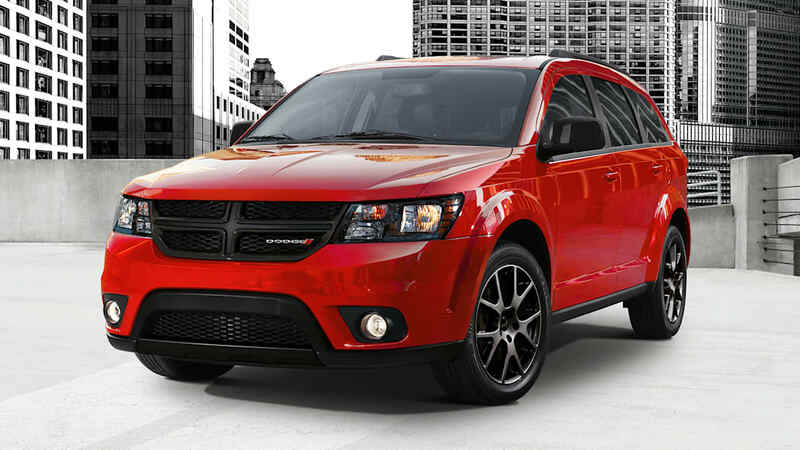 But you have to select the highest trim level to get the V6. 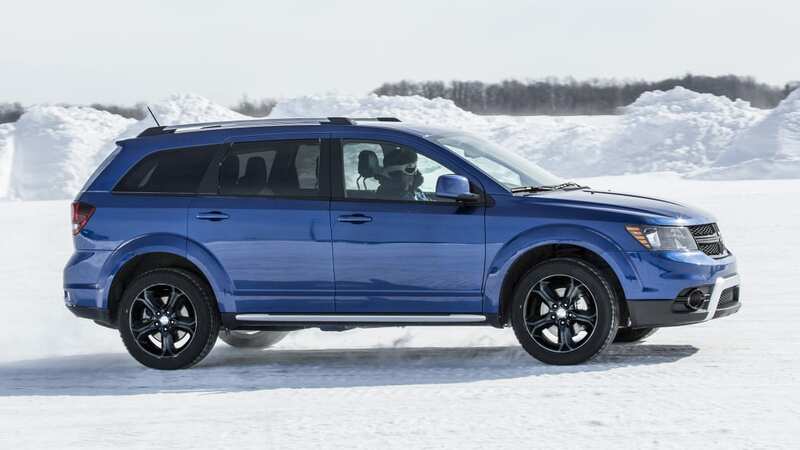 None of these crossovers are particular standouts in the driving department, and in some ways would be an argument for picking tall wagons over crossovers, but those don't offer third-row seats. 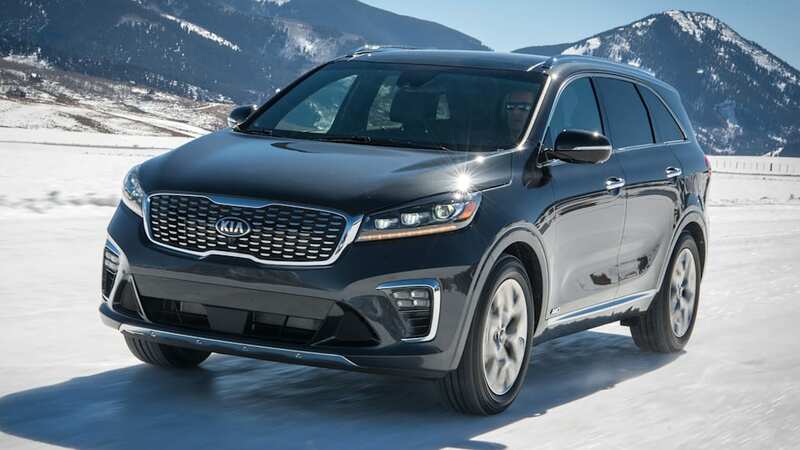 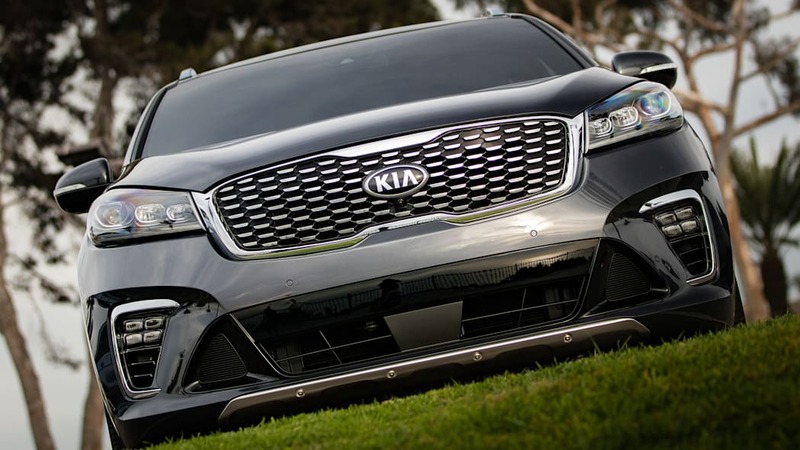 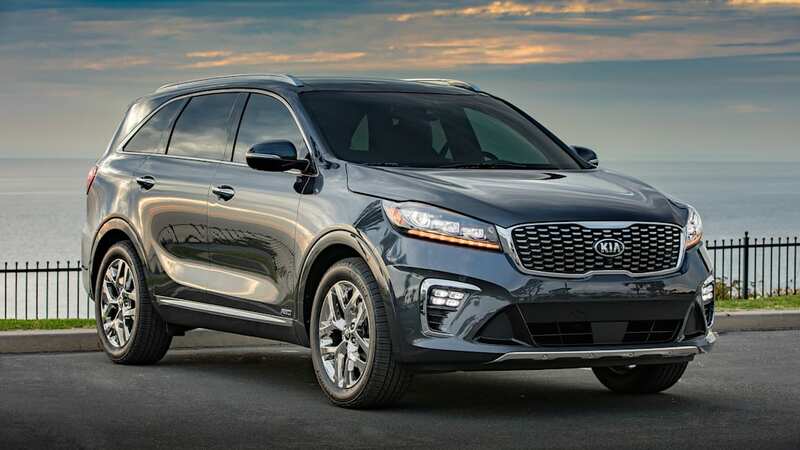 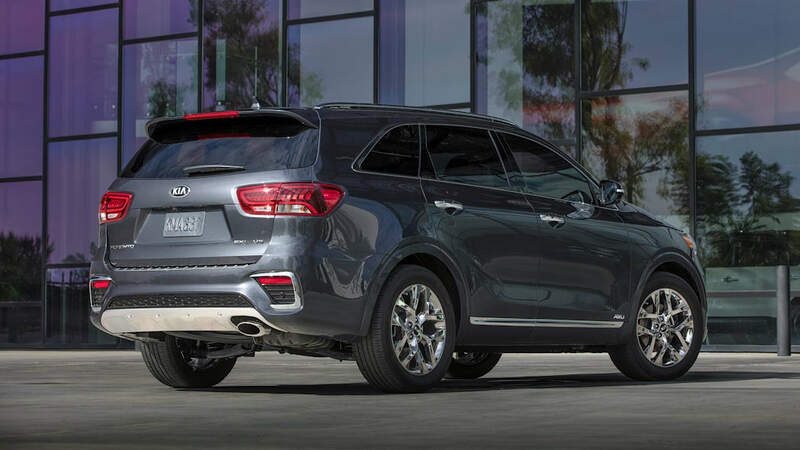 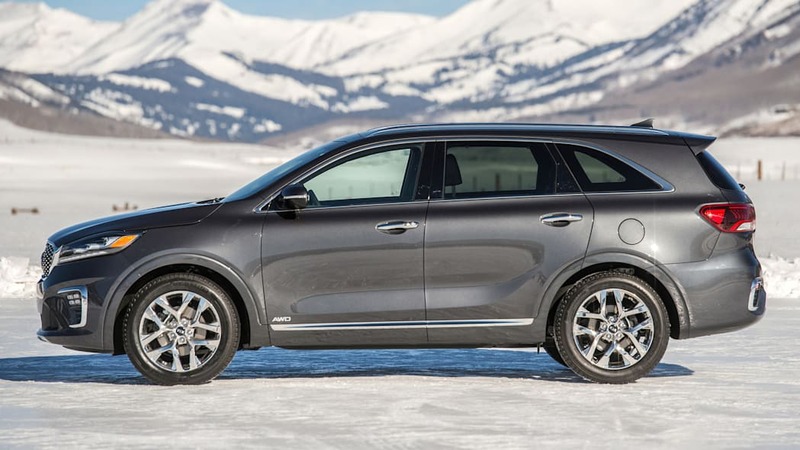 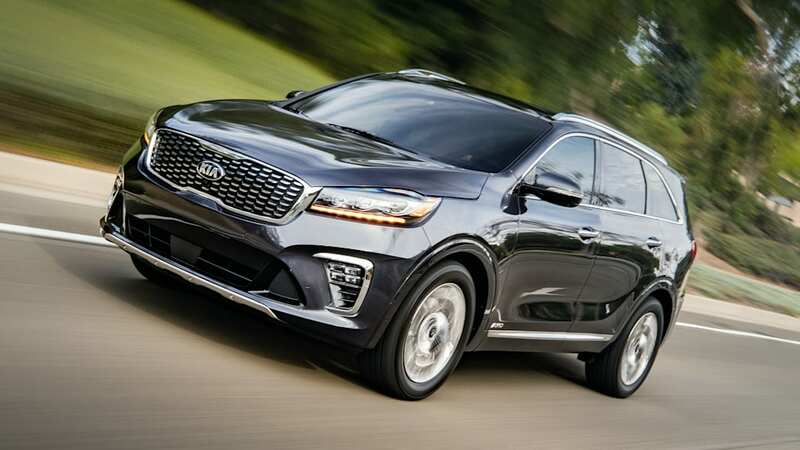 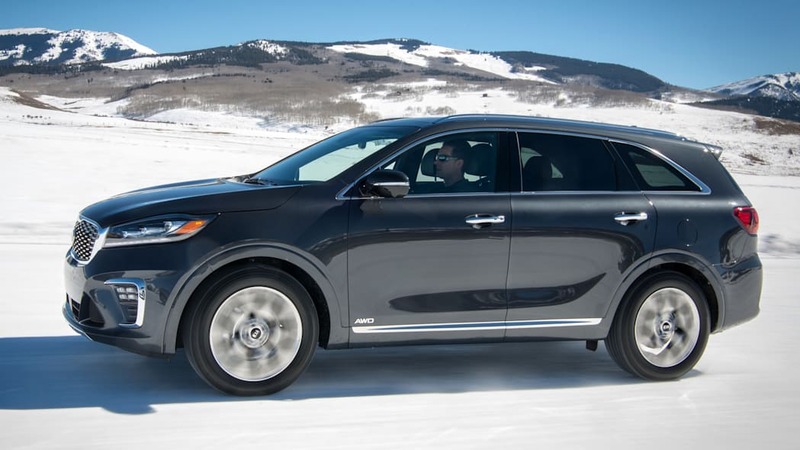 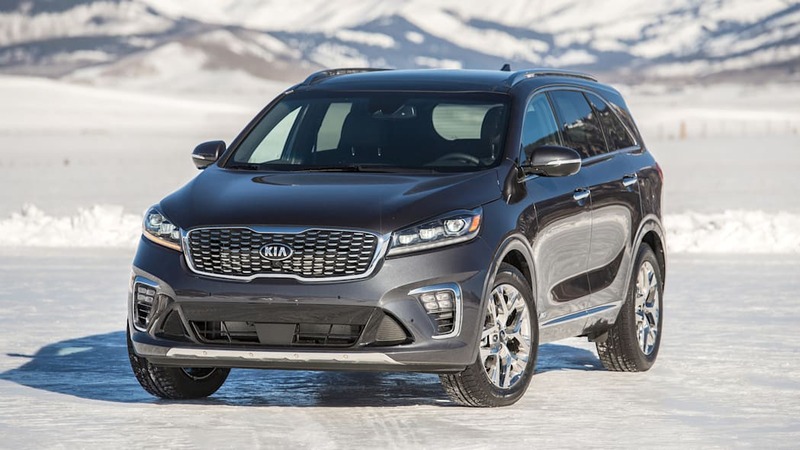 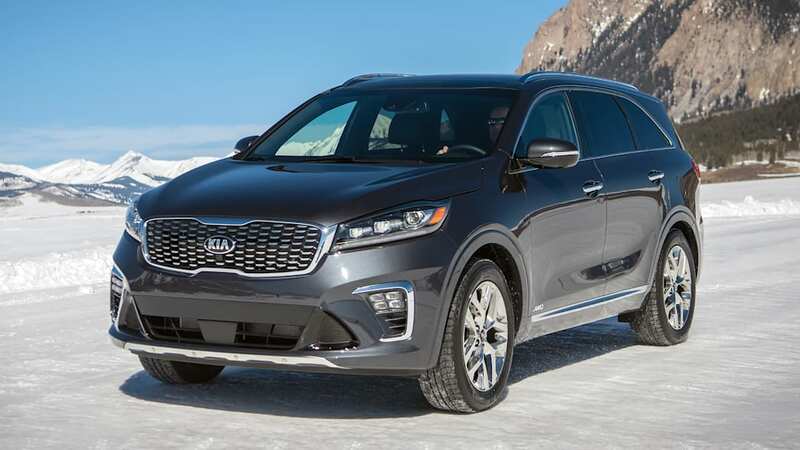 The Kia Sorento would be our pick of the four. 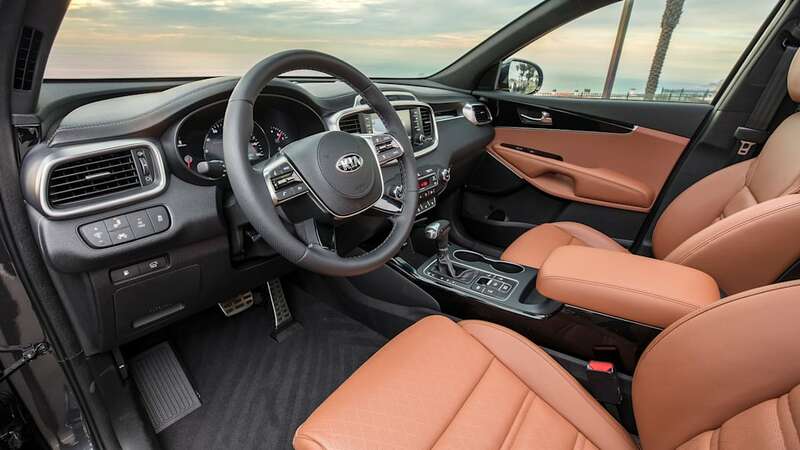 It's attractive, its V6 is highly responsive, it feels composed, and has a pleasant interior. 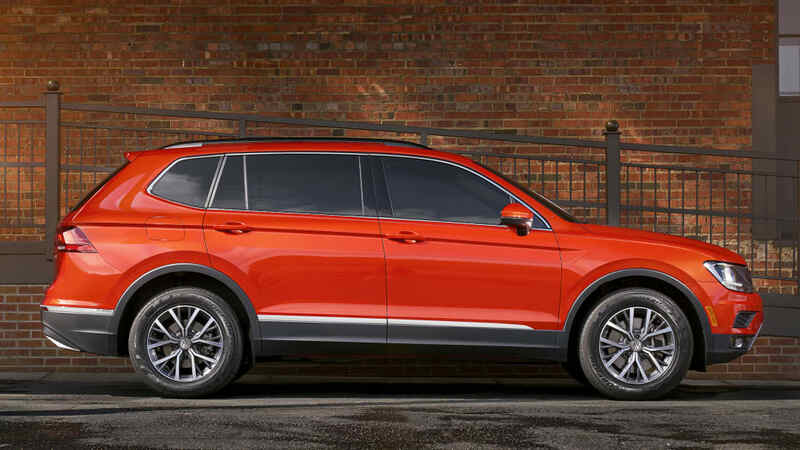 The VW Tiguan would be a solid choice too. 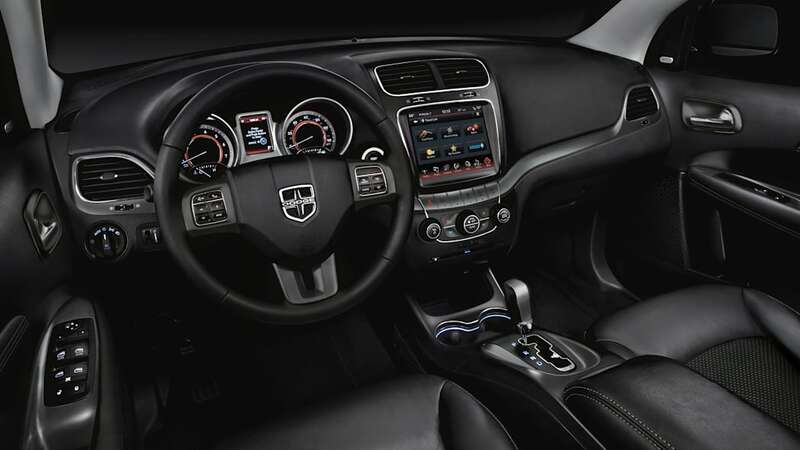 We found its engine to be on the sluggish side, but it has a very nice interior with a great infotainment system. 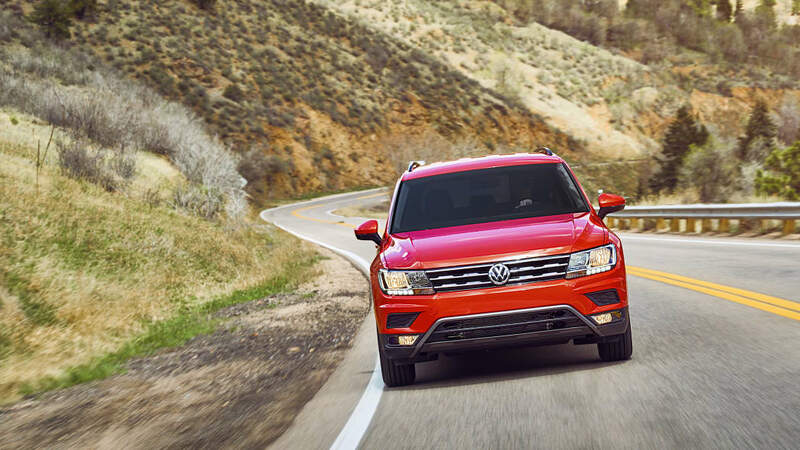 Combining aspects of the two is the Journey. 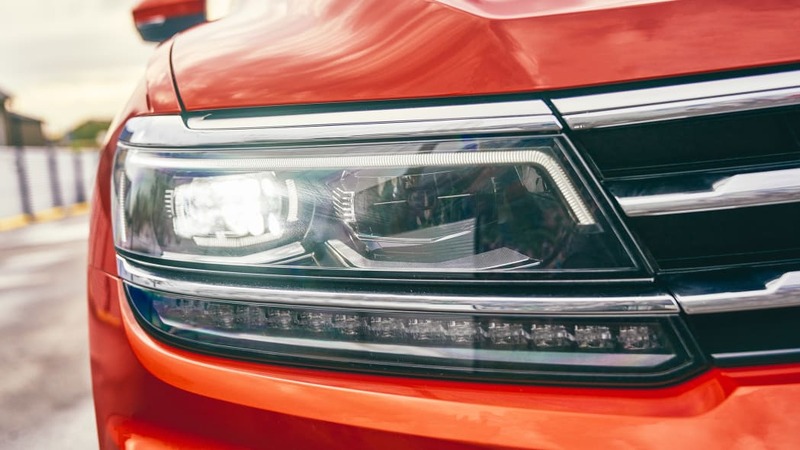 We're fans of the potent and surprisingly nice-sounding Pentastar V6, but would recommend avoiding the four-cylinder and its ancient transmission. 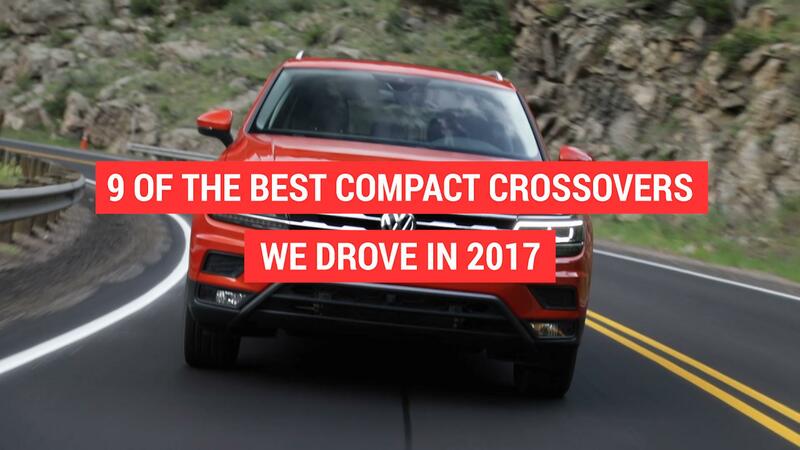 UConnect is very good, too, but the rest of this old crossover is very average. 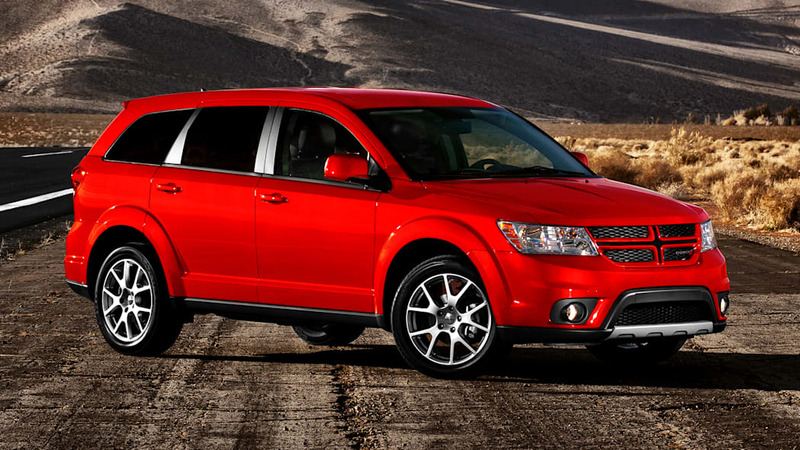 We would probably pick the Outlander last. 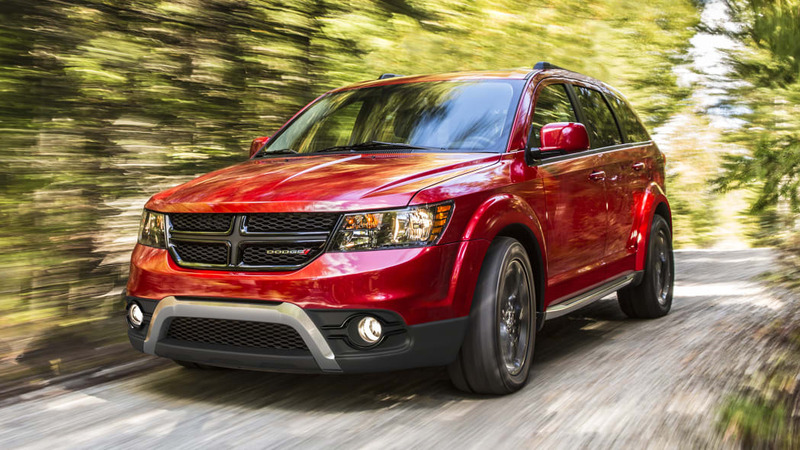 We prefer its four-cylinder to the coarse old V6, and the handling is clumsy. 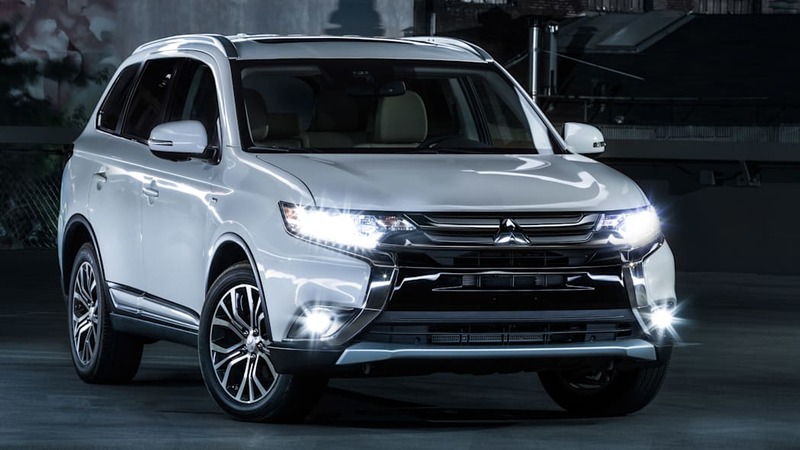 The rest is just okay, though we found the PHEV version to be fairly pleasant.